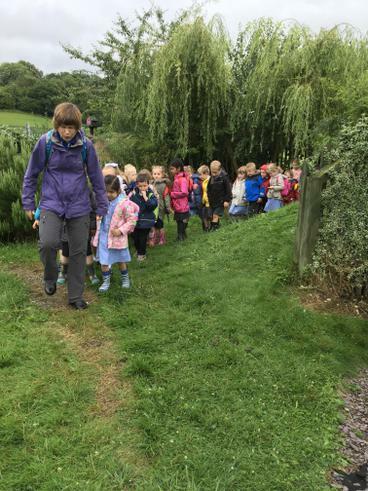 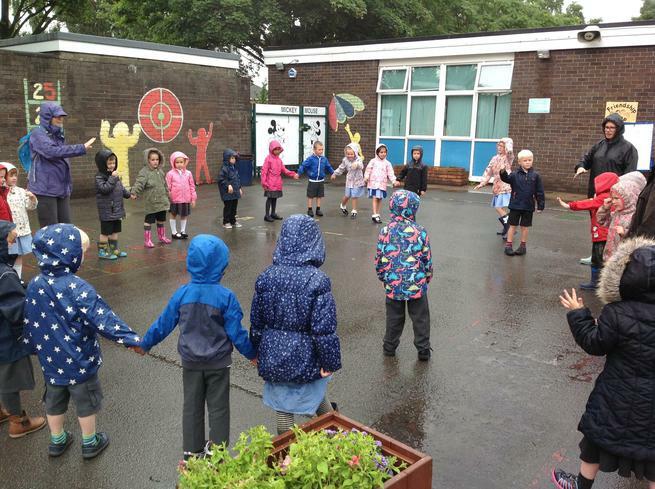 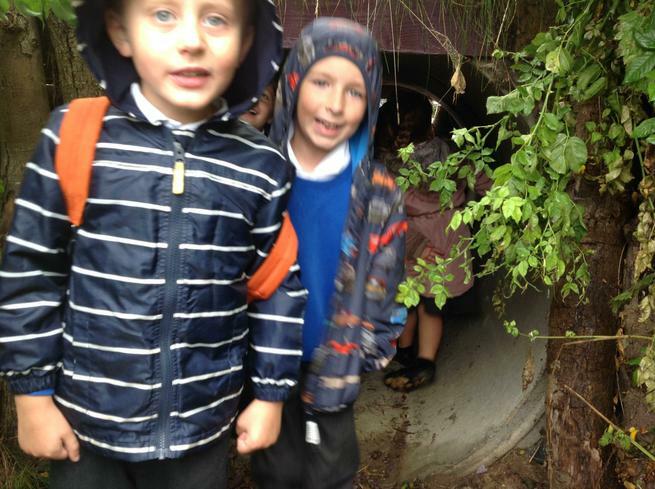 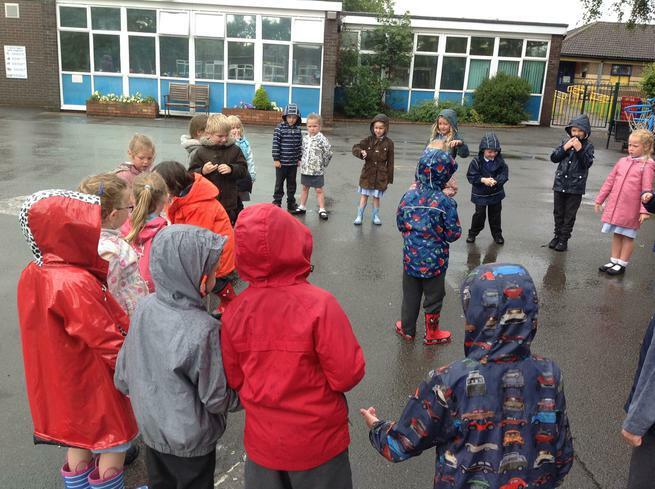 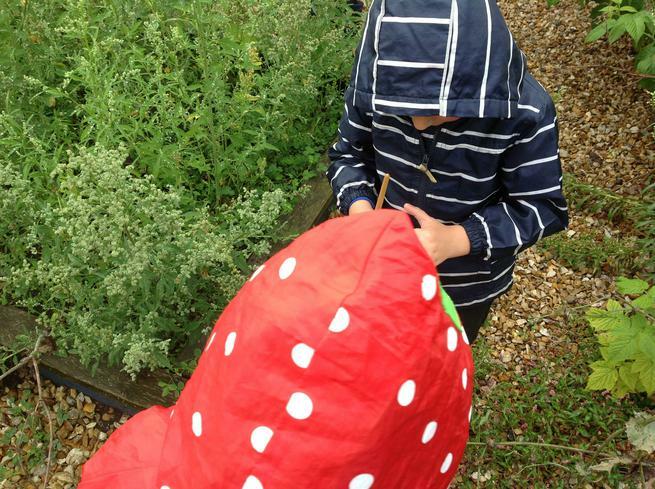 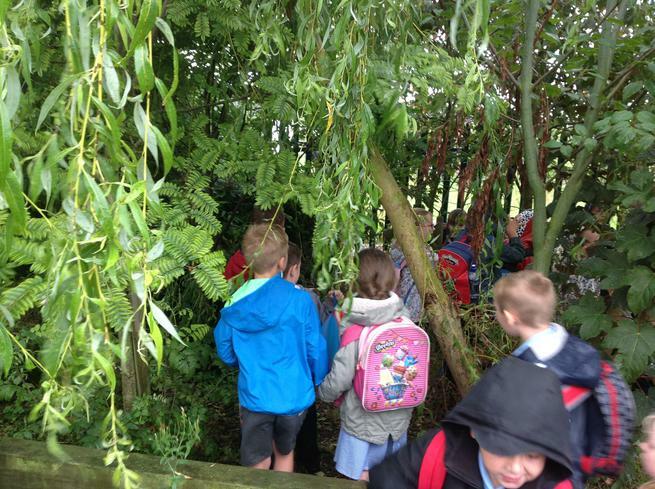 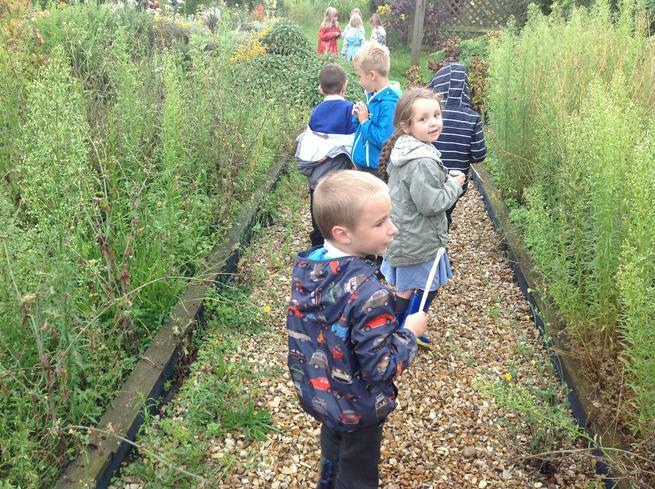 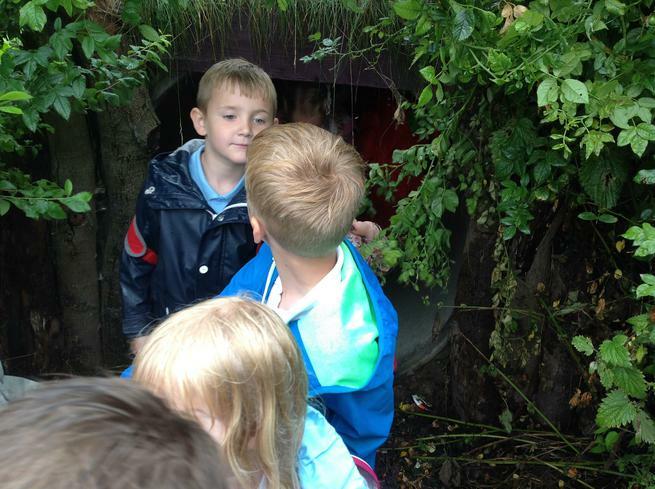 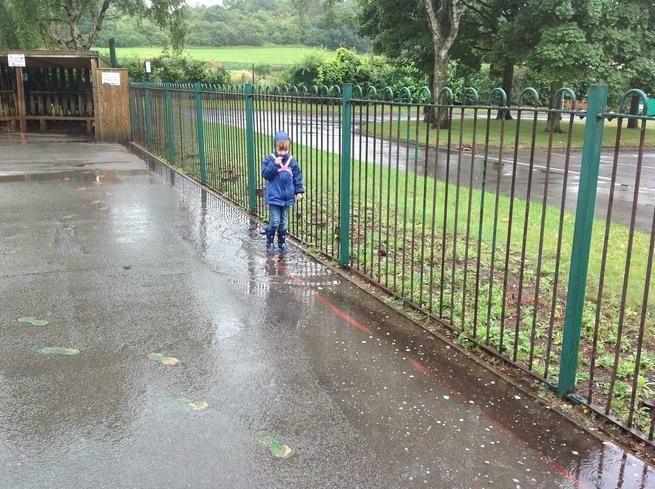 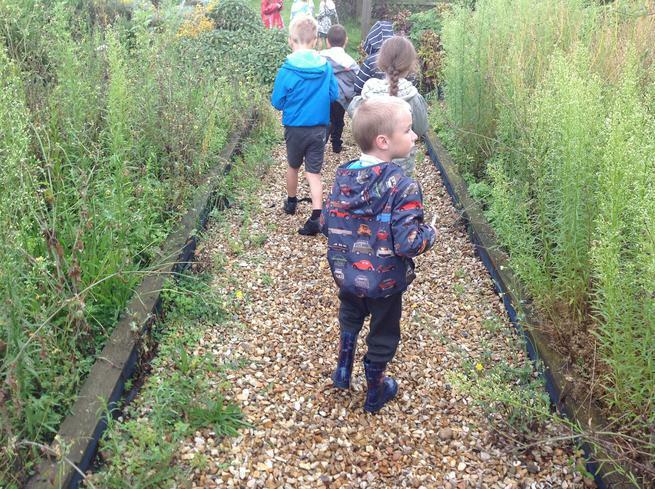 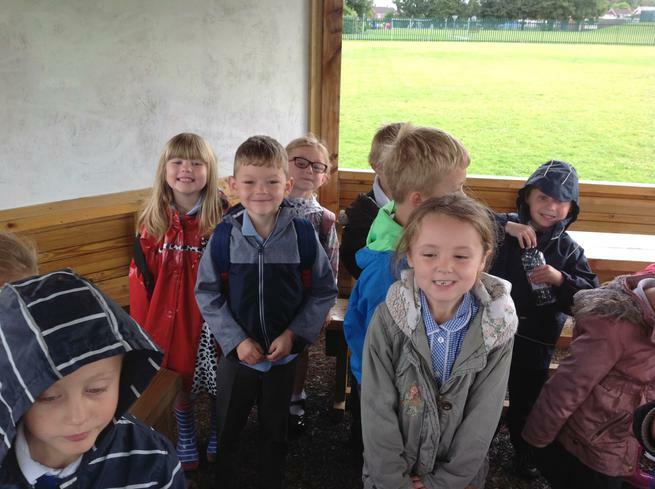 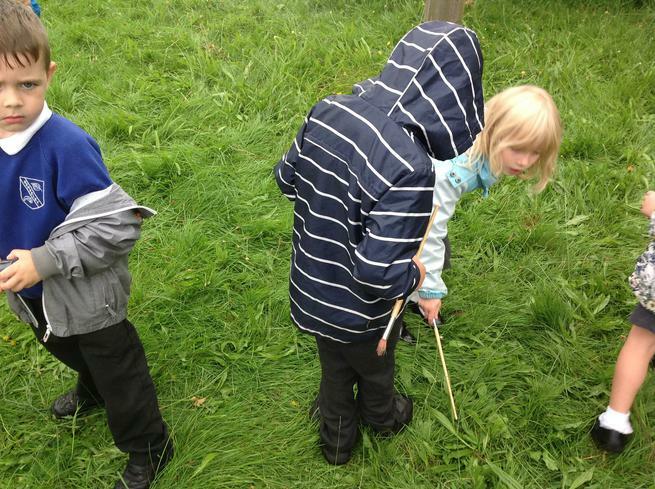 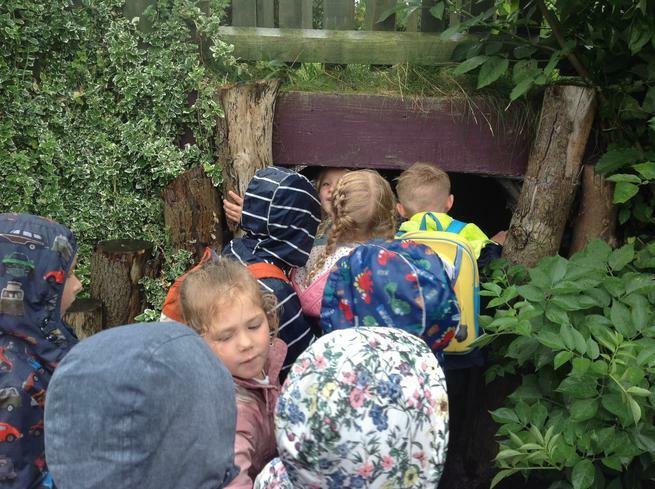 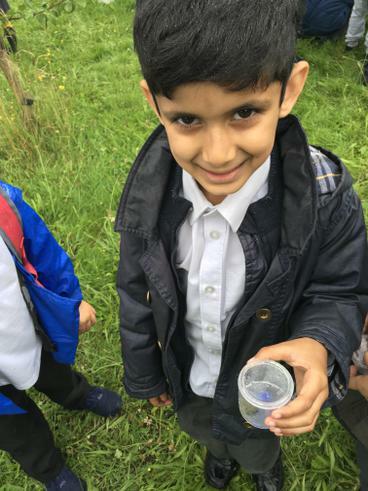 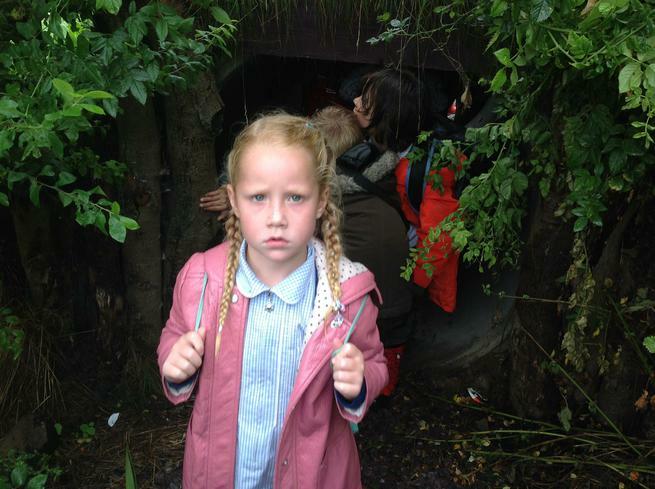 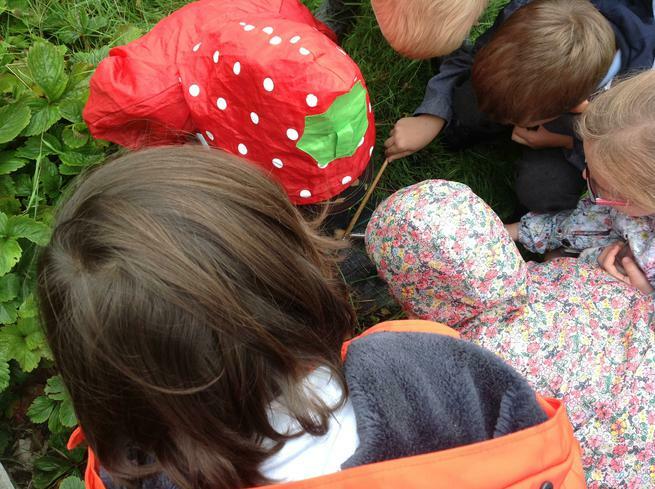 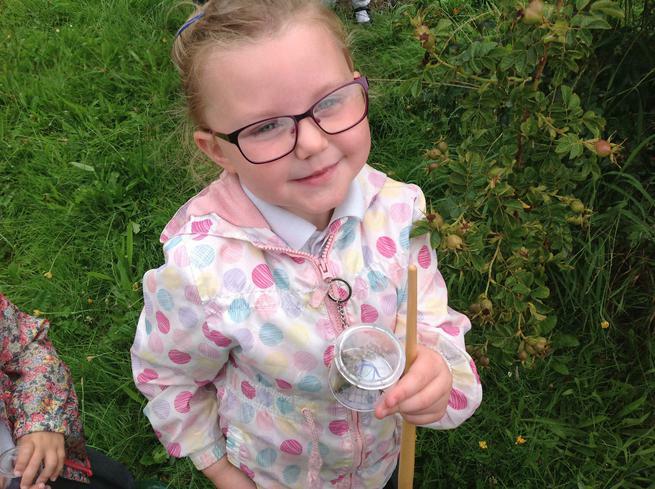 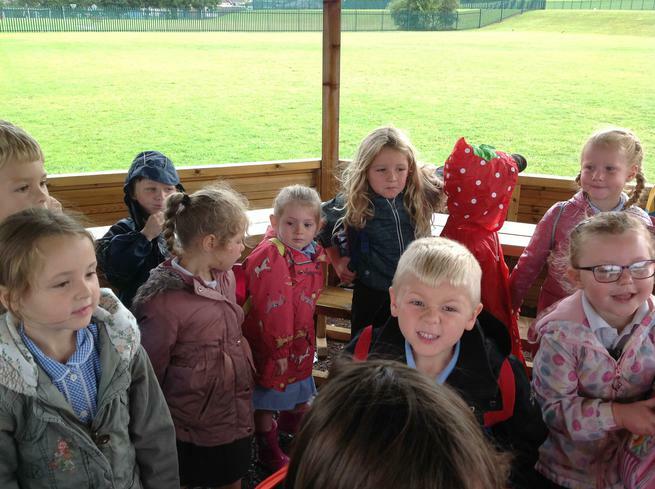 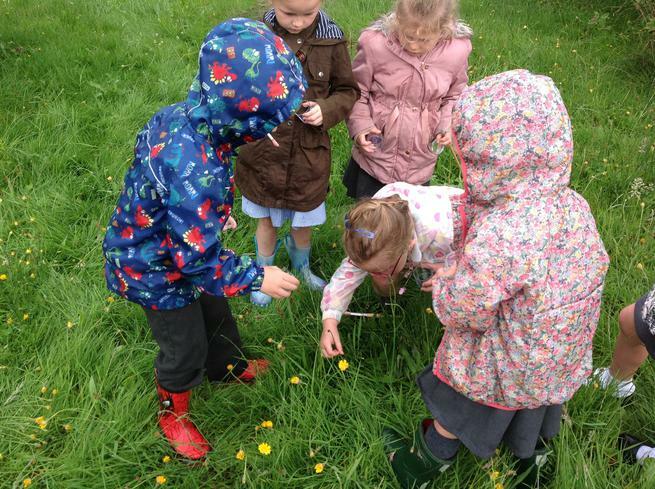 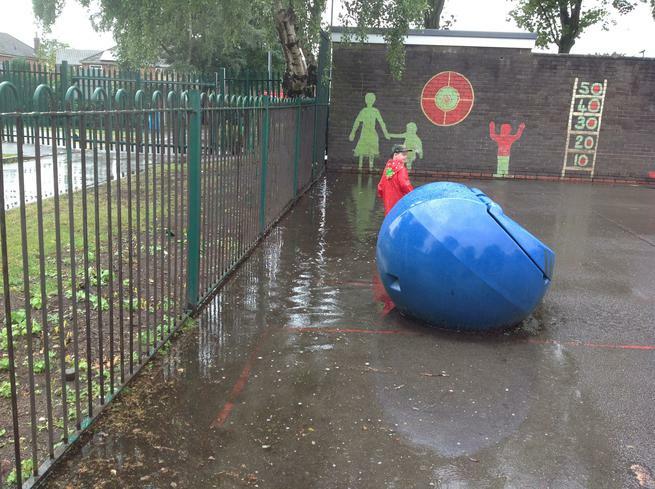 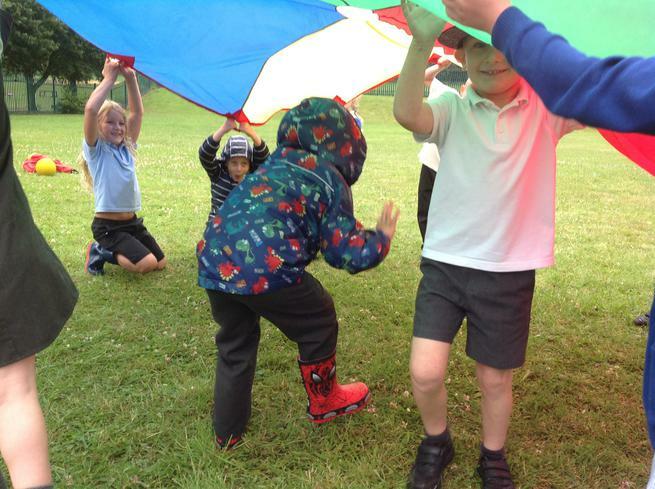 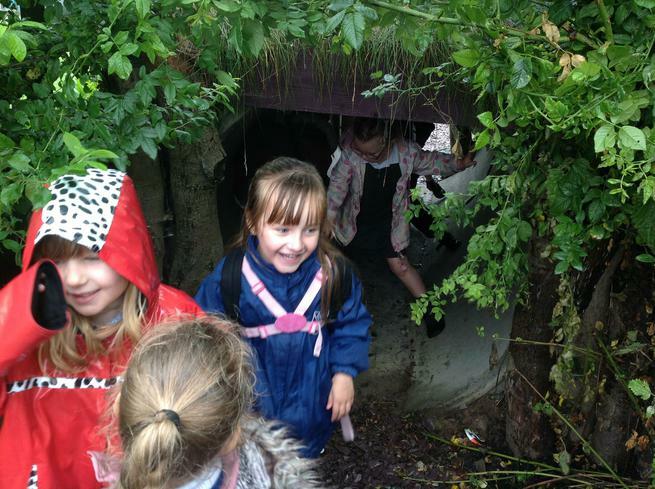 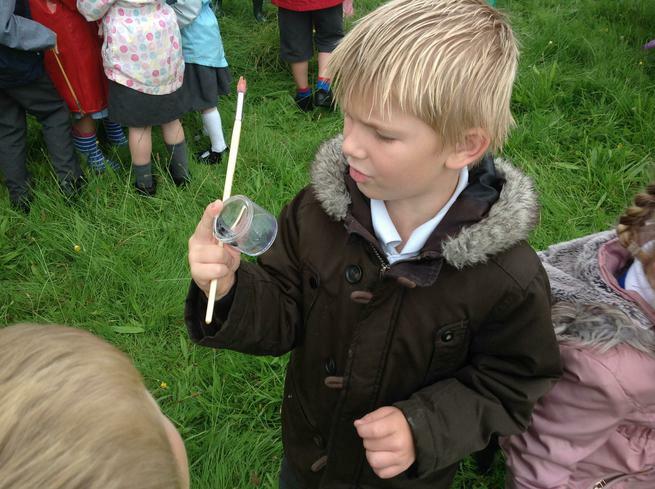 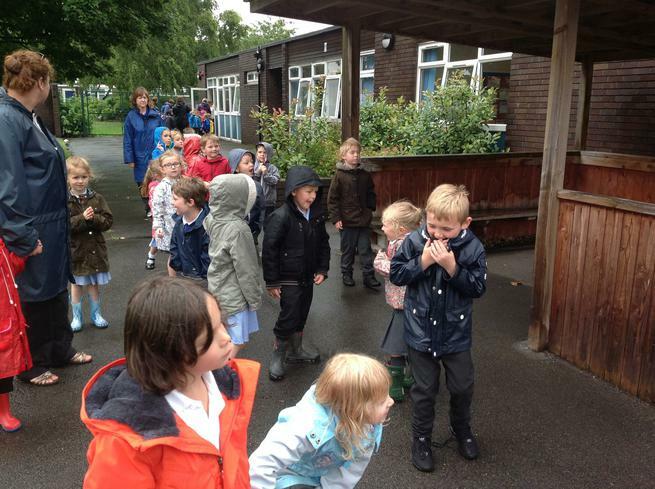 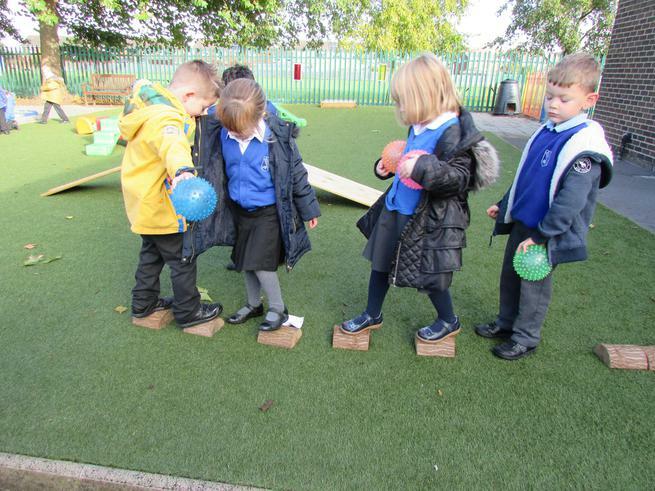 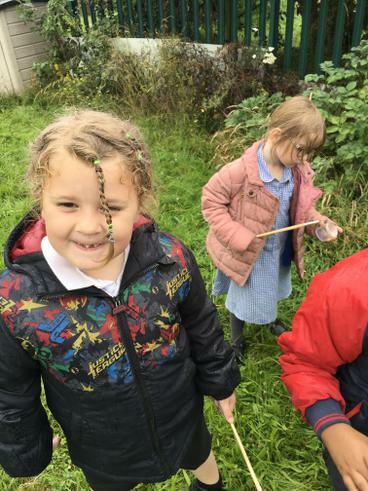 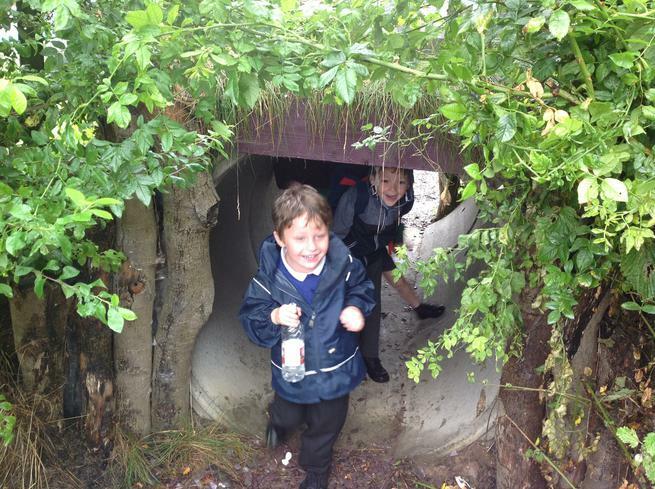 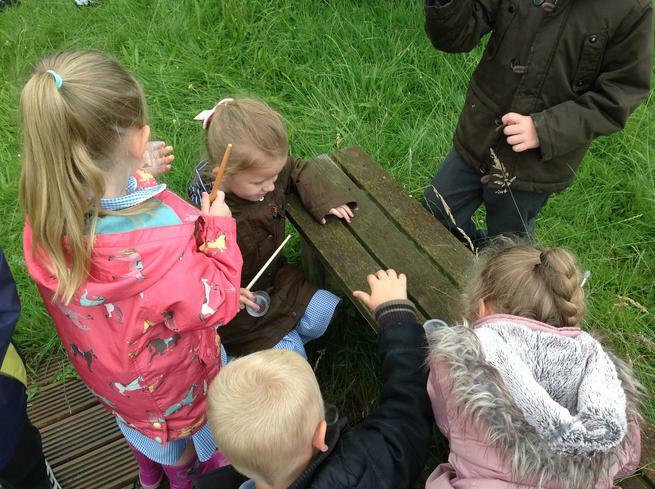 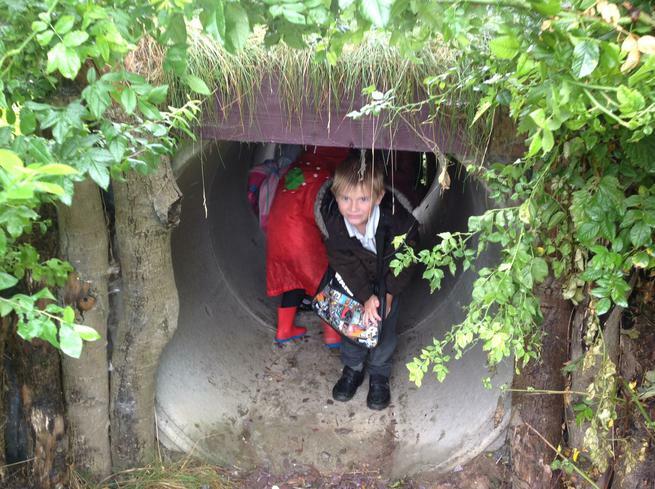 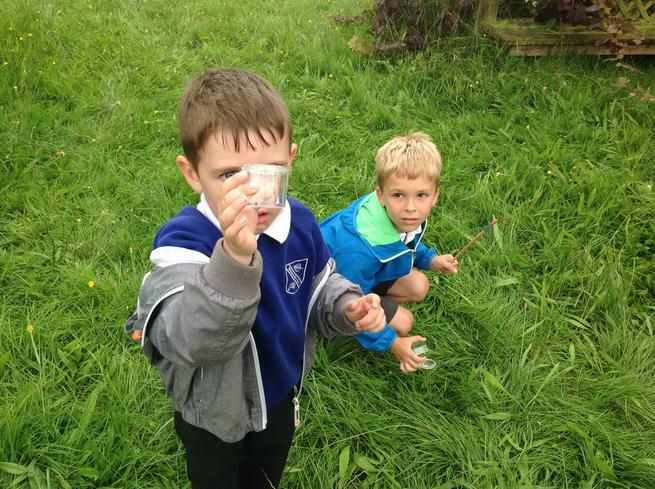 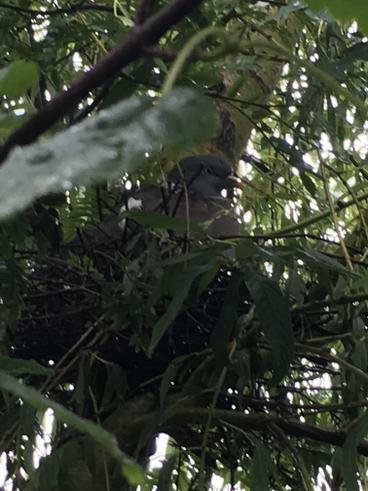 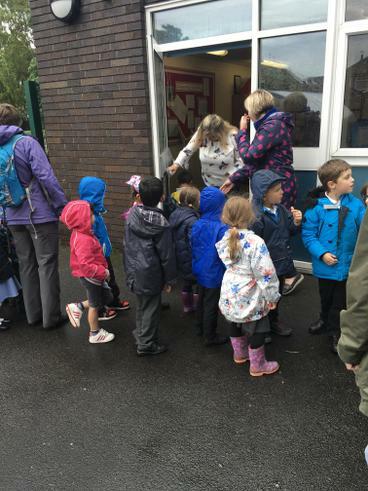 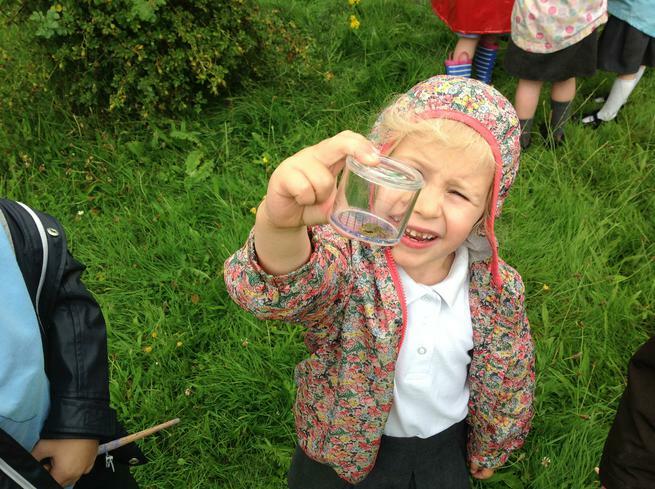 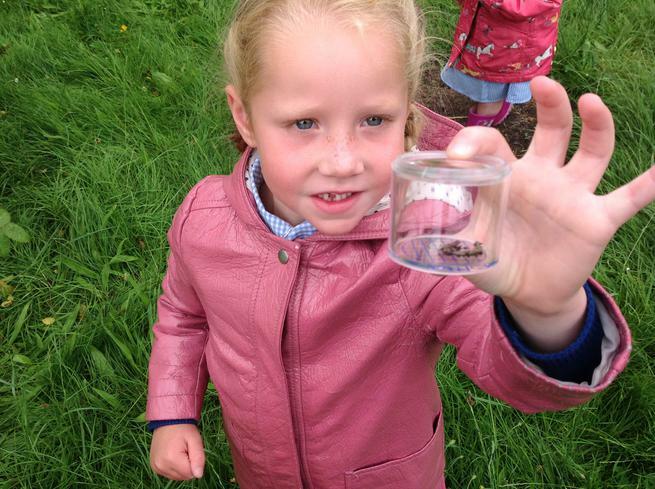 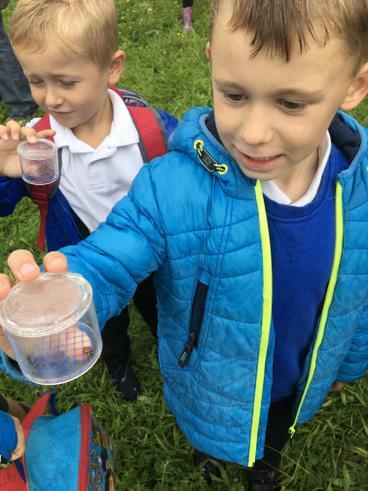 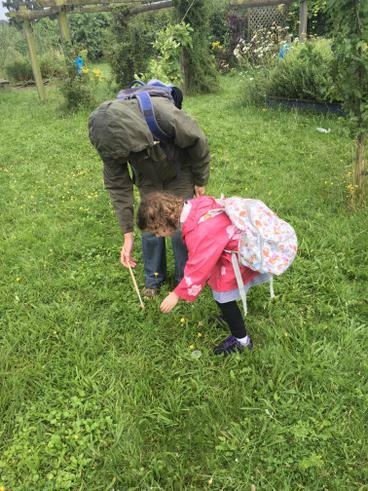 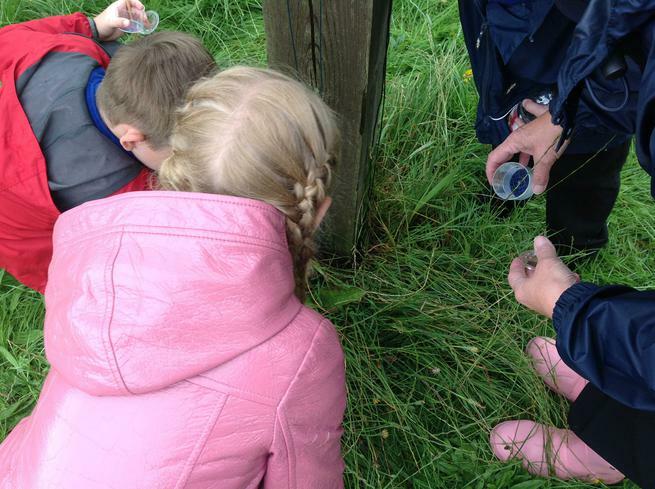 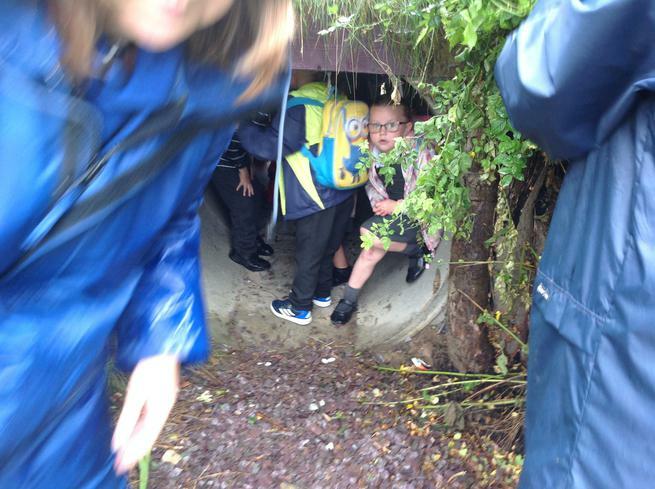 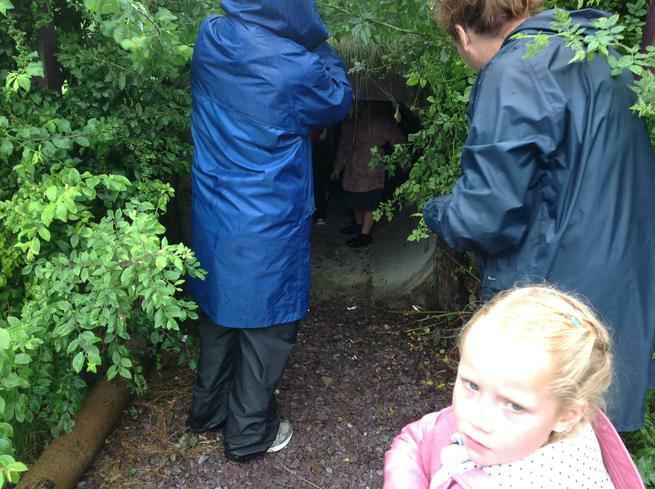 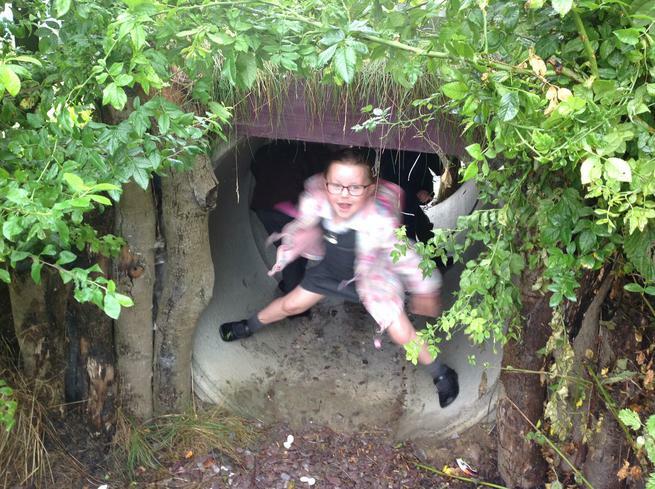 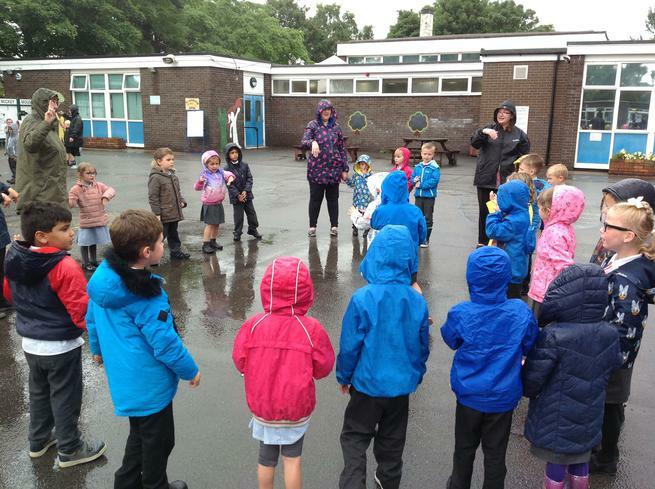 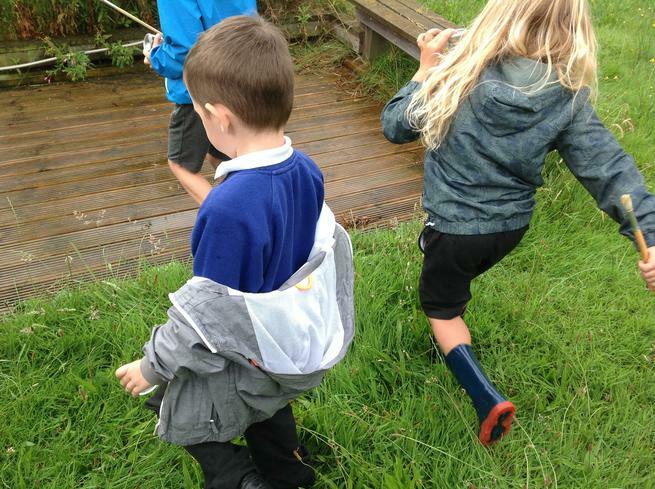 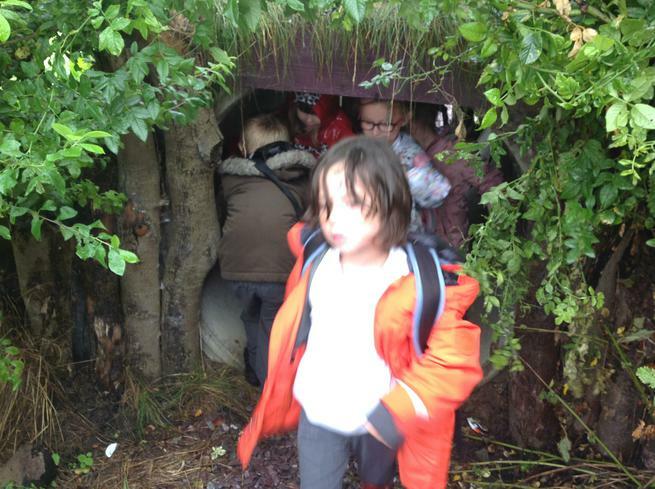 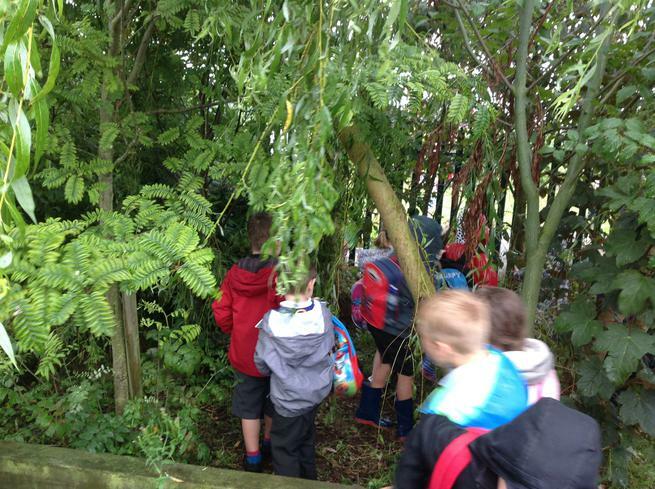 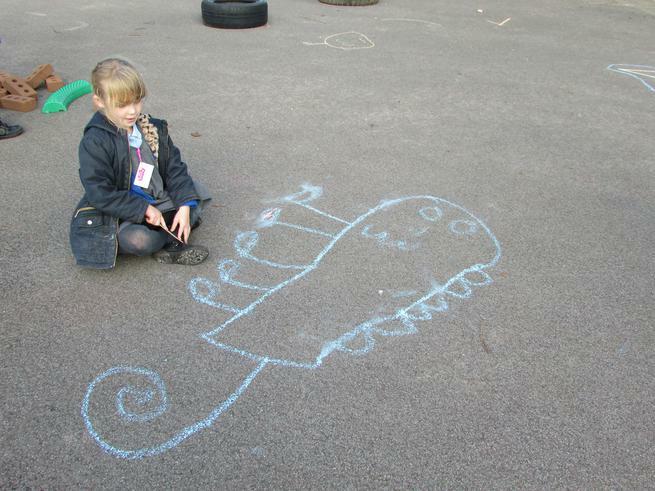 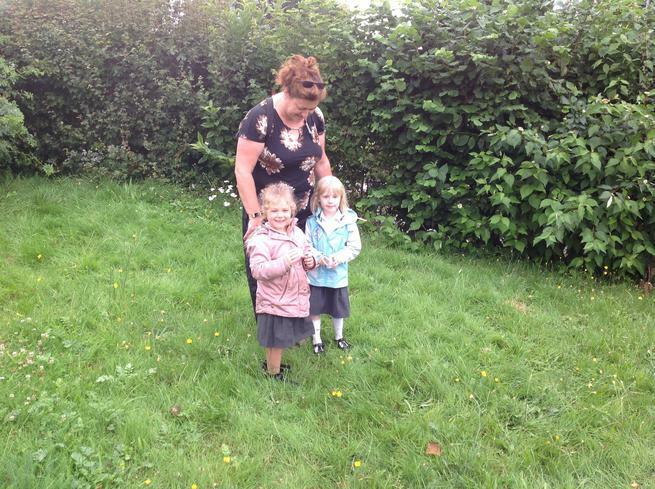 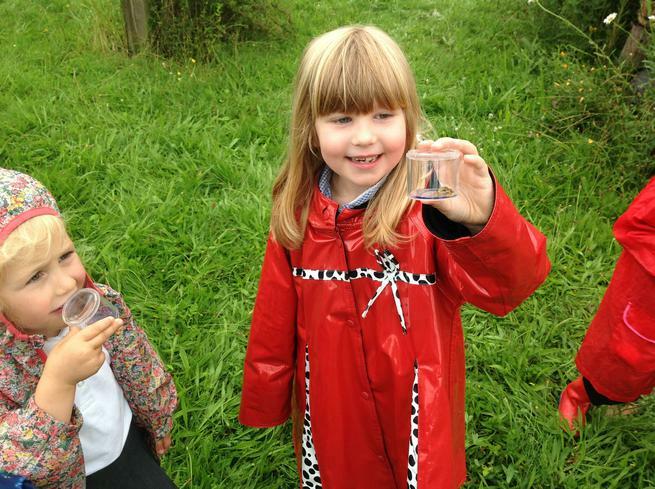 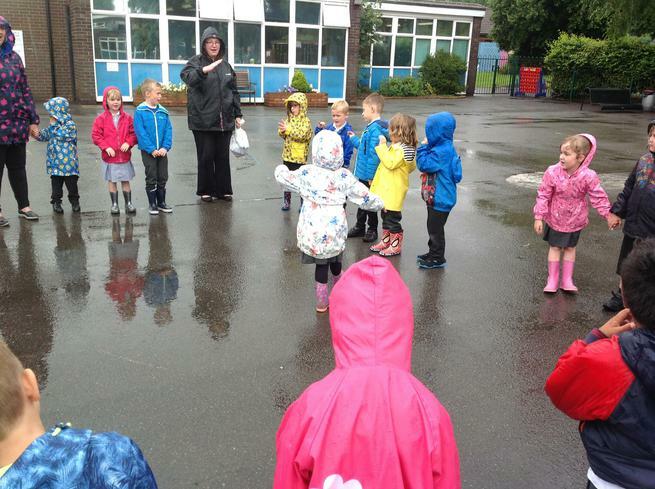 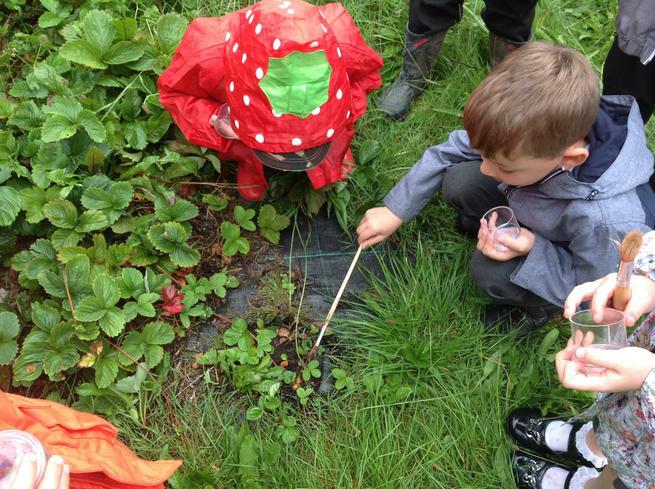 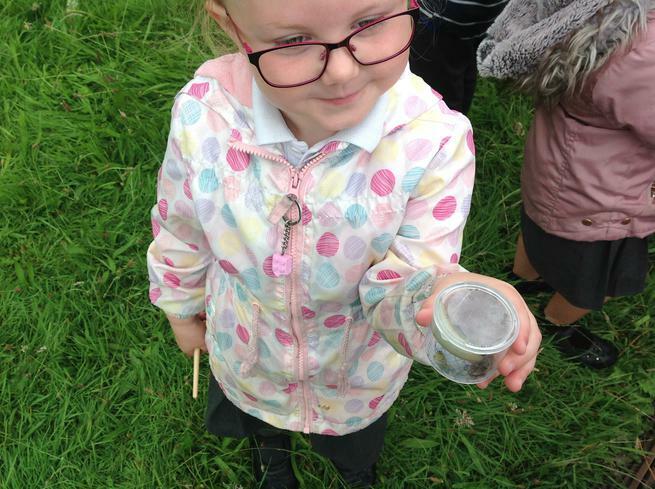 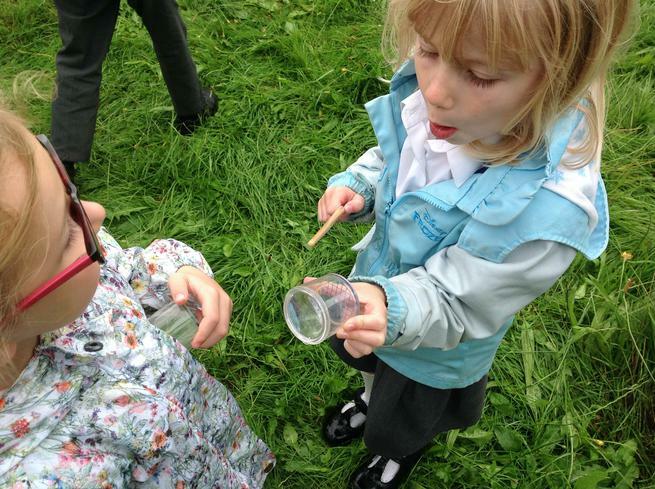 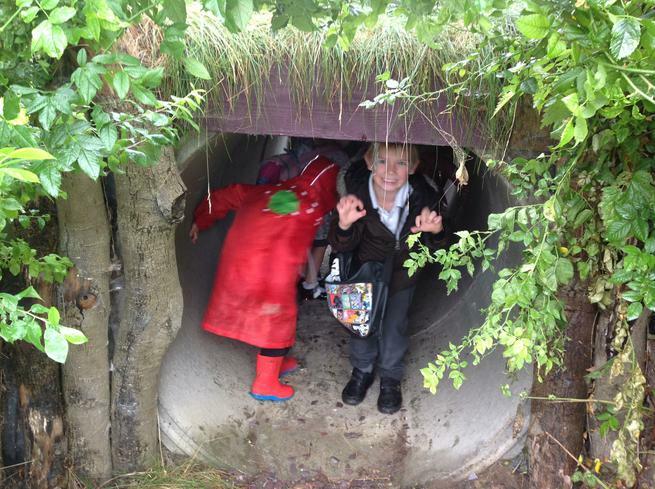 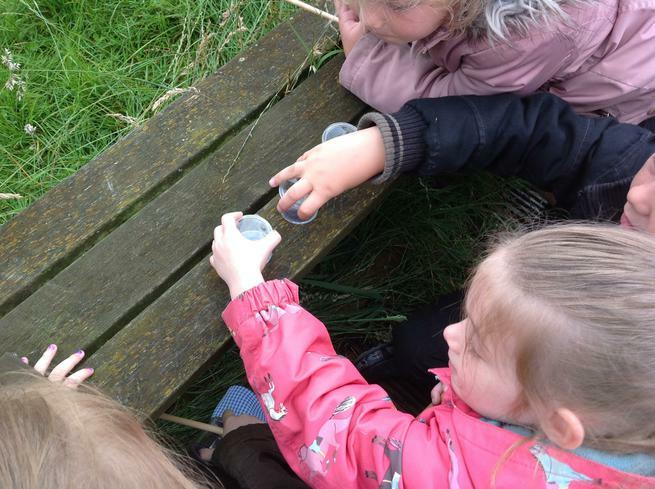 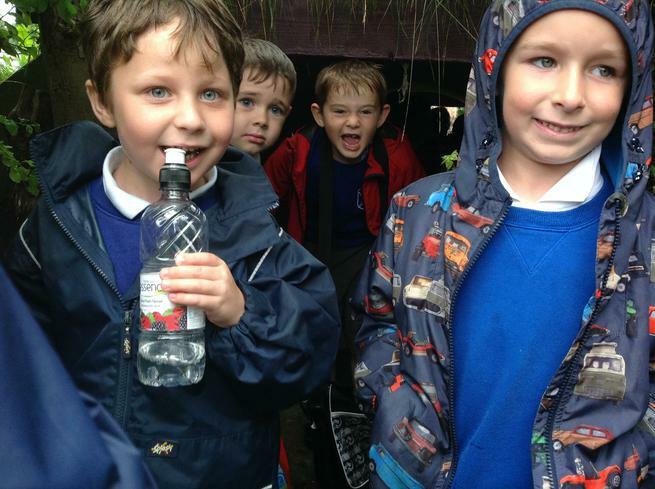 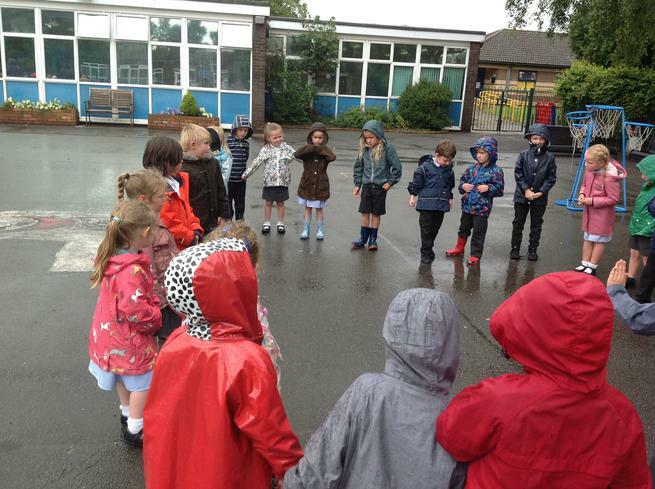 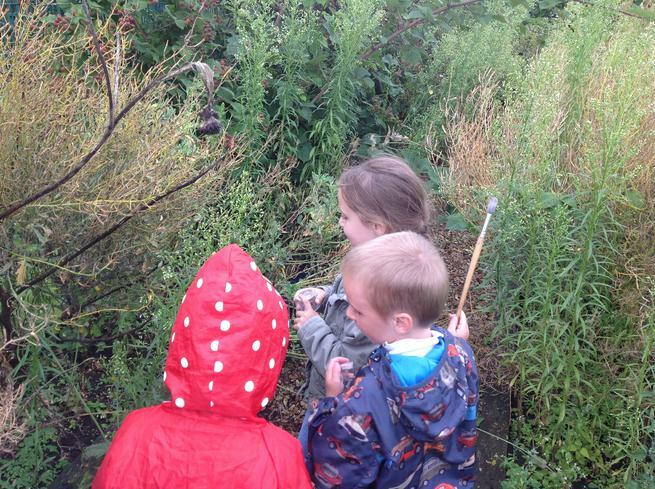 We didn't let the rain spoil our plans and we had a lovely day out within our school grounds! 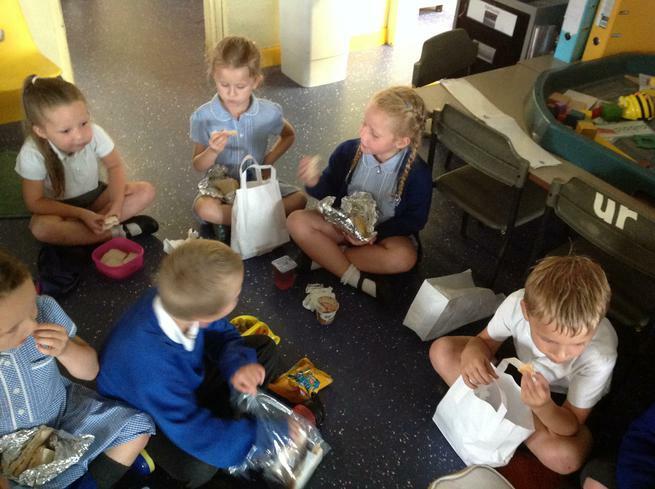 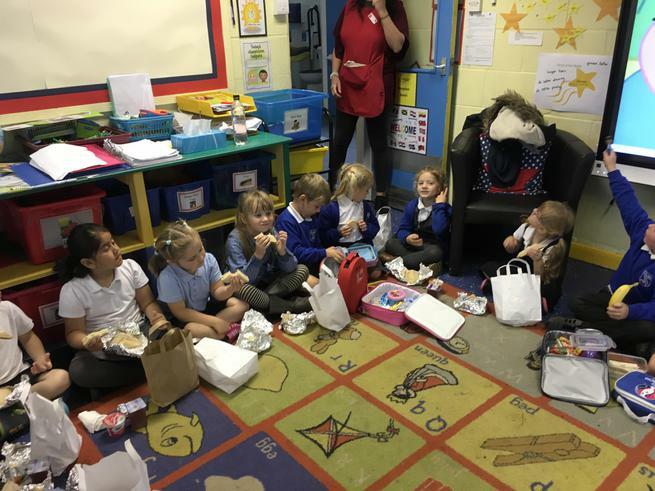 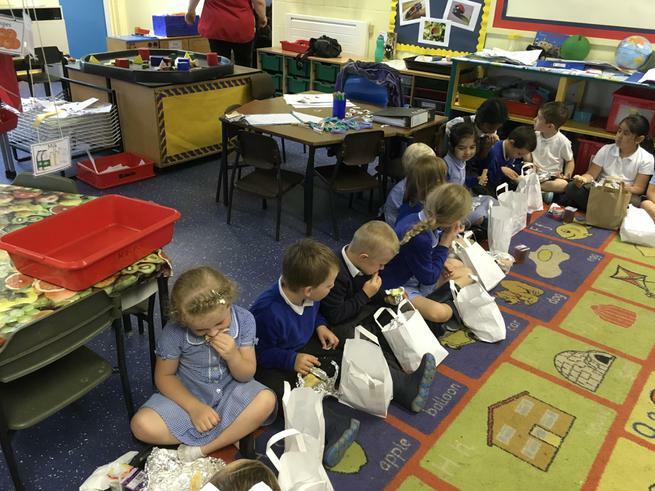 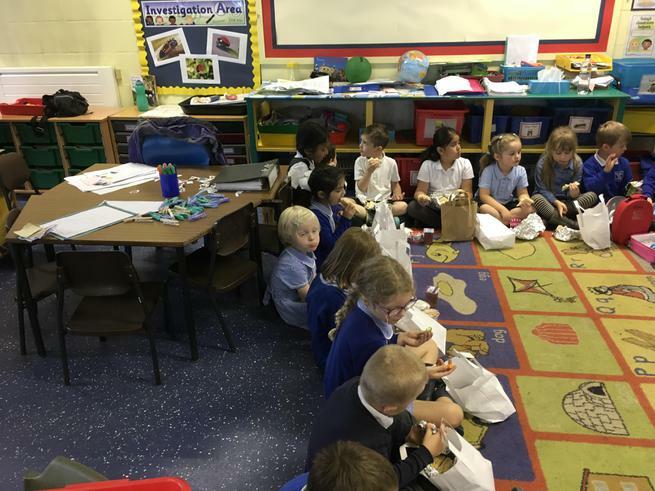 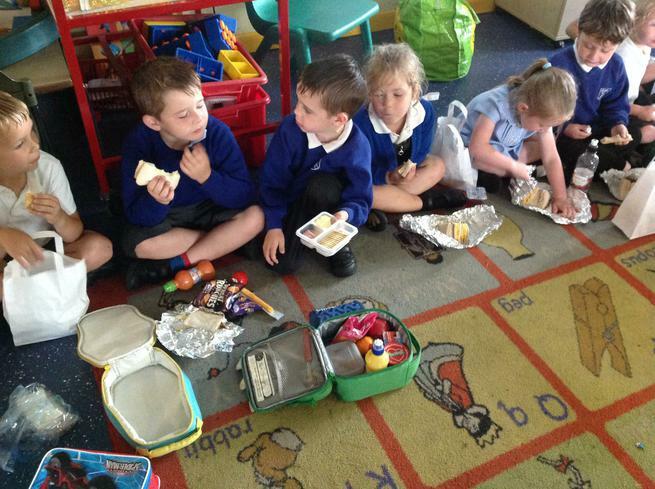 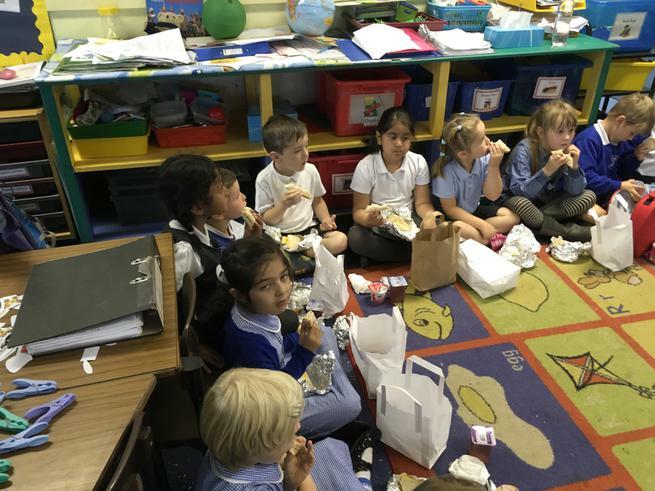 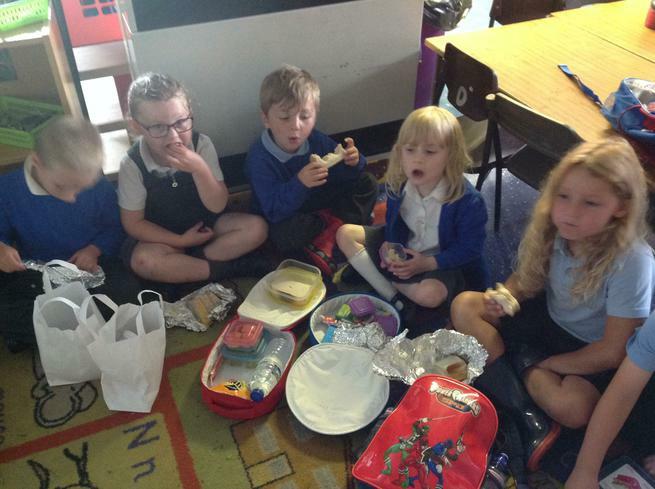 It was a great adventure day, with just a little bit of inside time for our picnic lunch (we didn't fancy soggy sandwiches)! 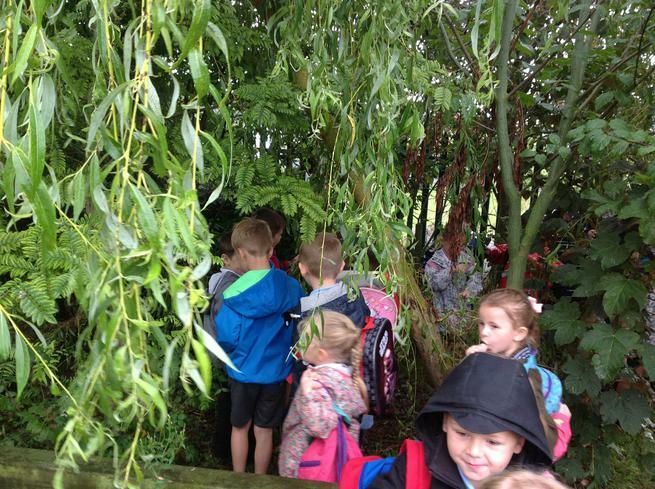 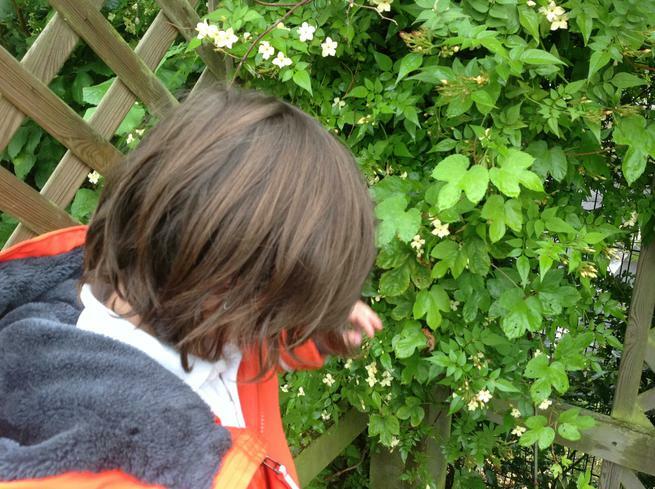 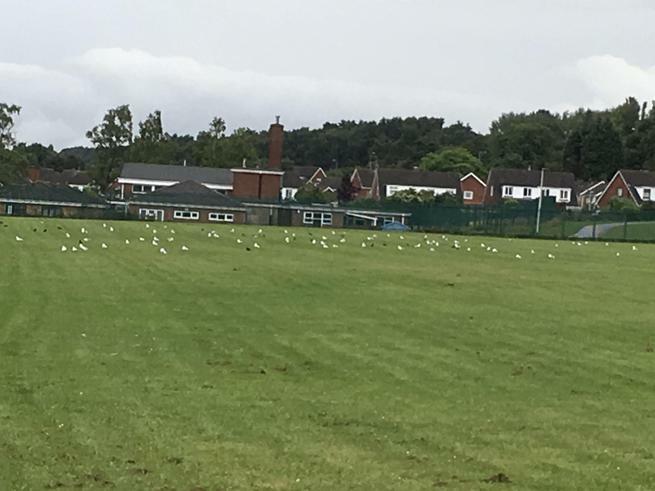 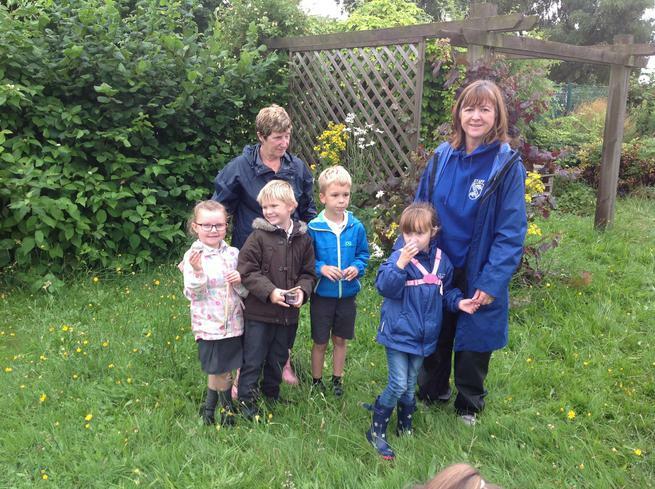 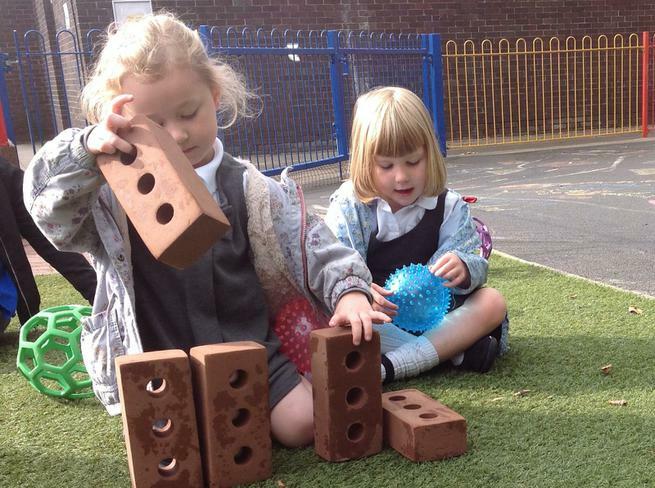 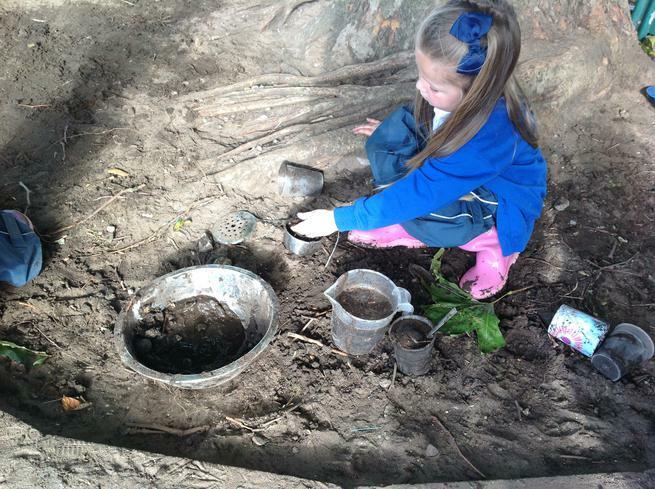 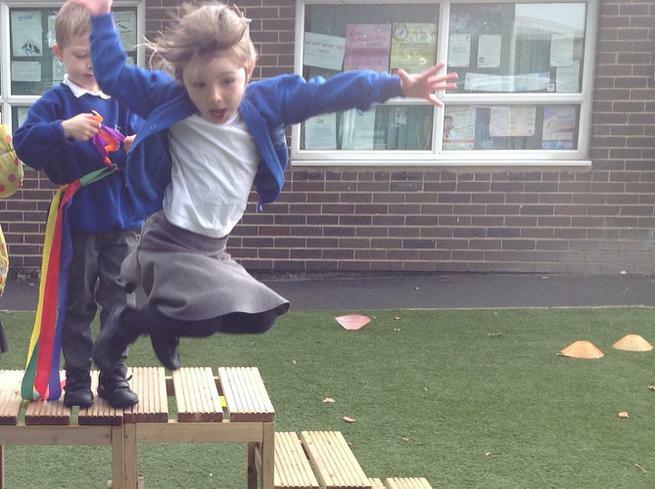 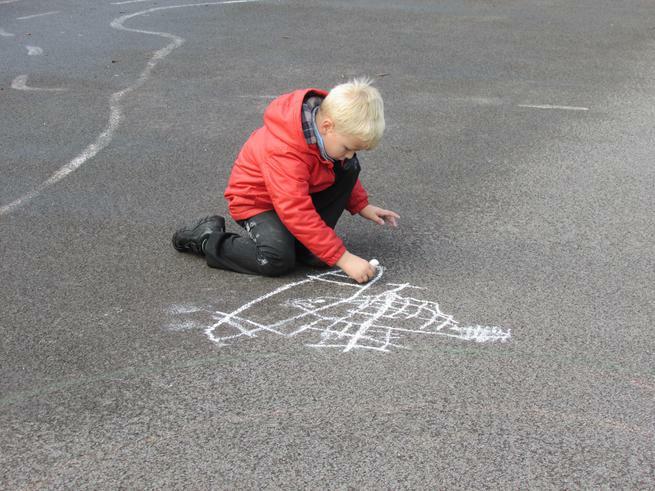 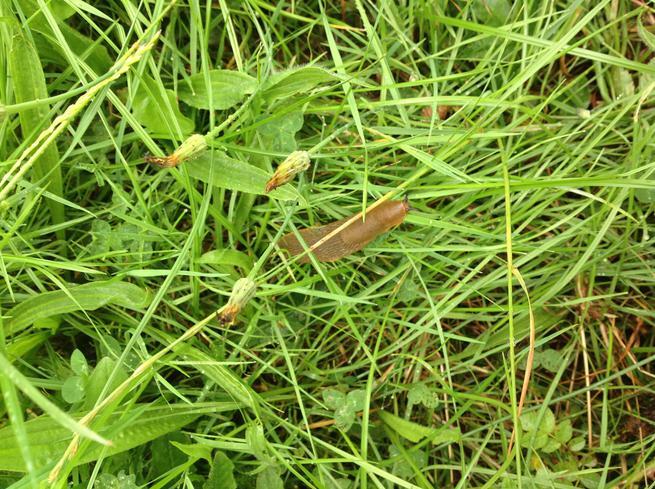 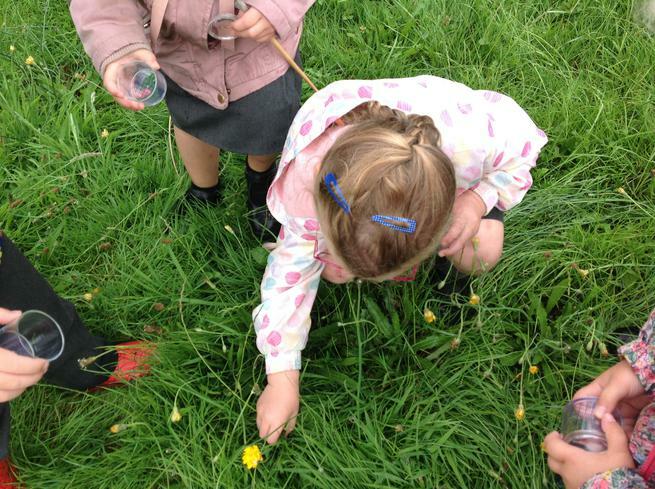 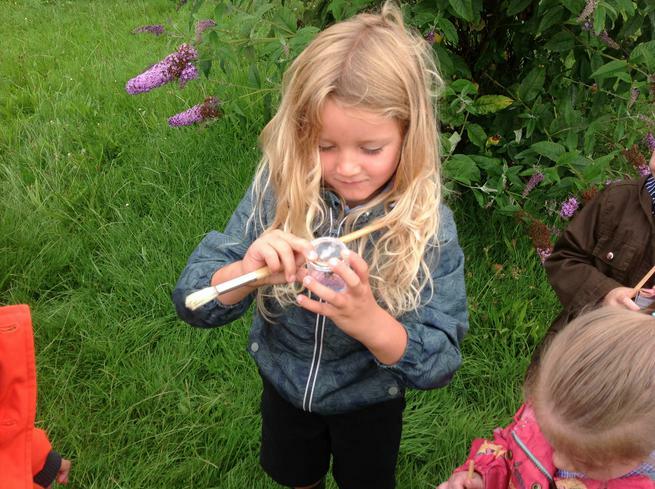 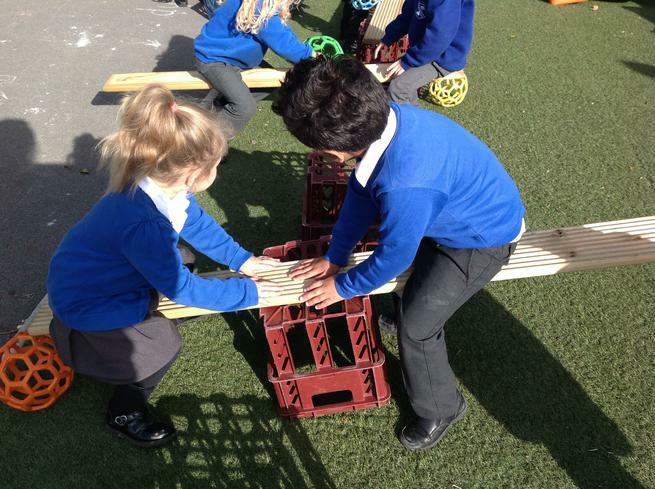 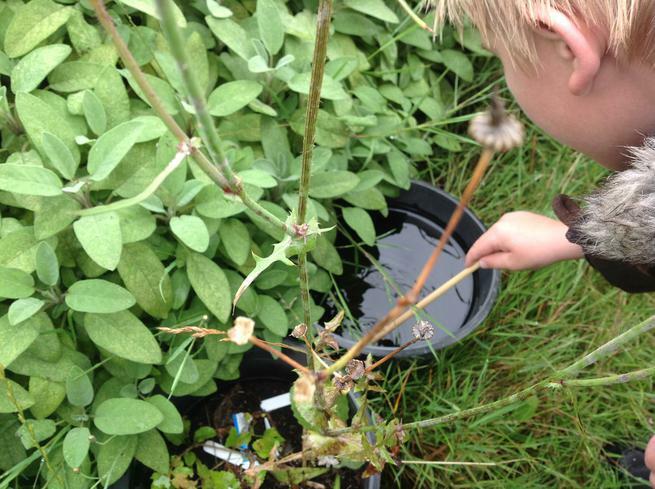 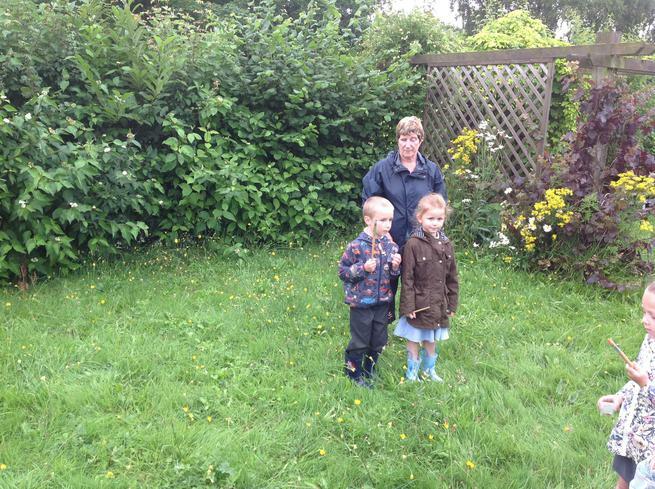 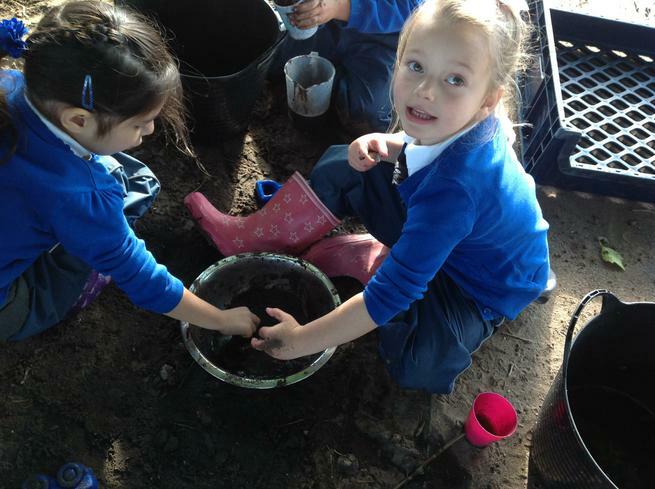 We are really lucky to have such extensive school grounds, with outdoor wildlife gardens and big fields. 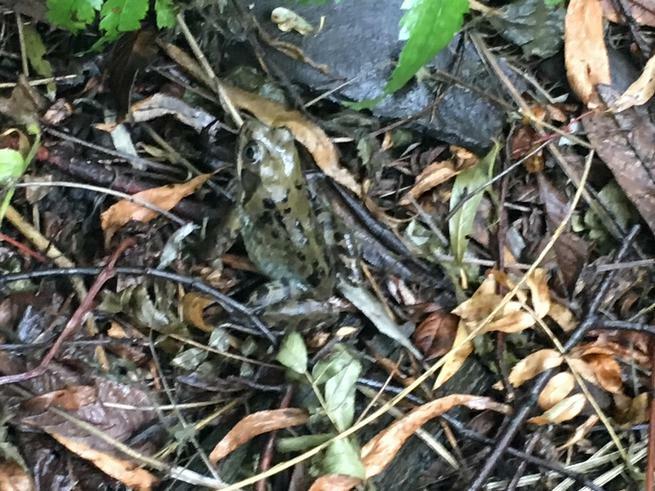 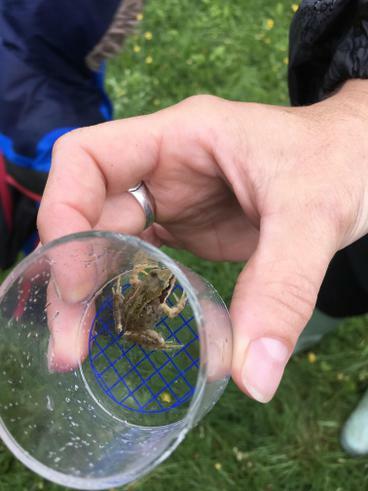 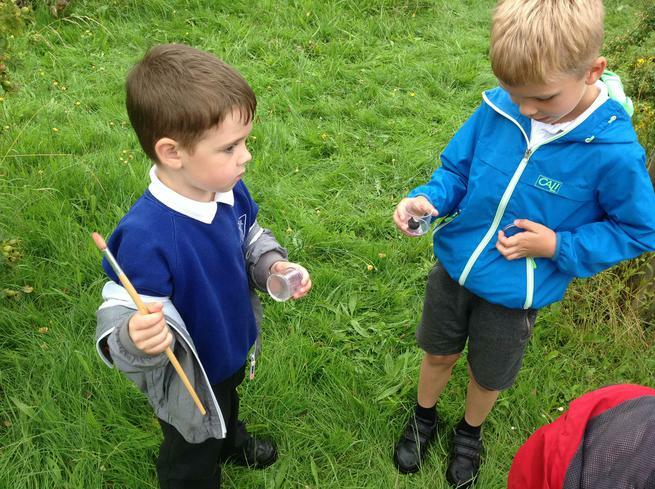 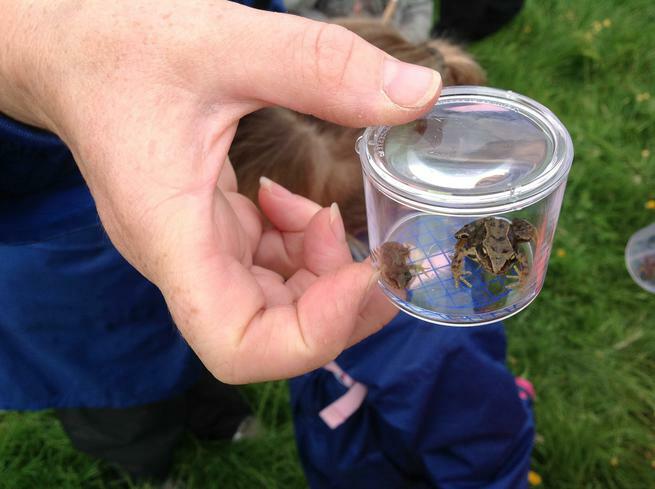 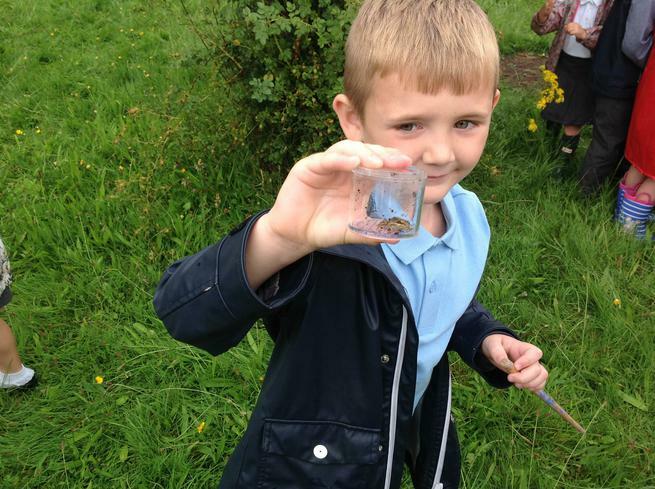 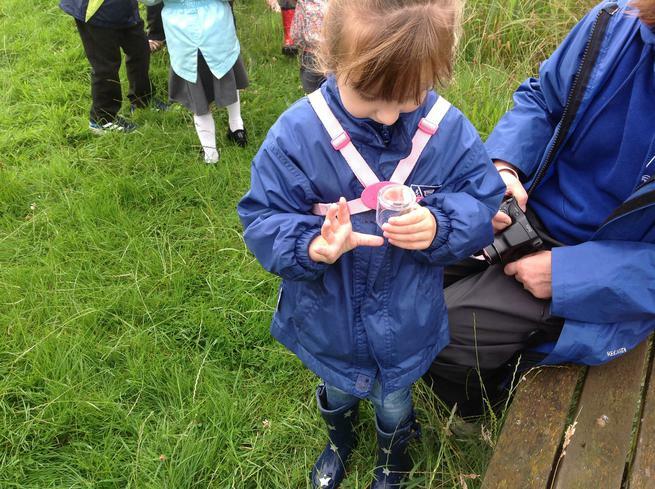 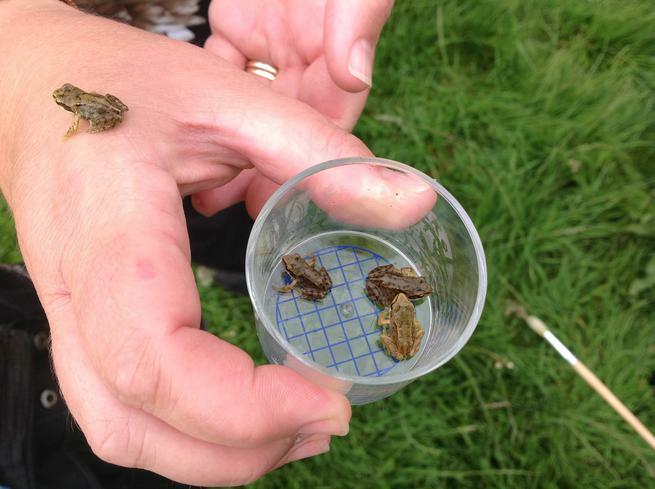 We hunted and found lots of frogs! 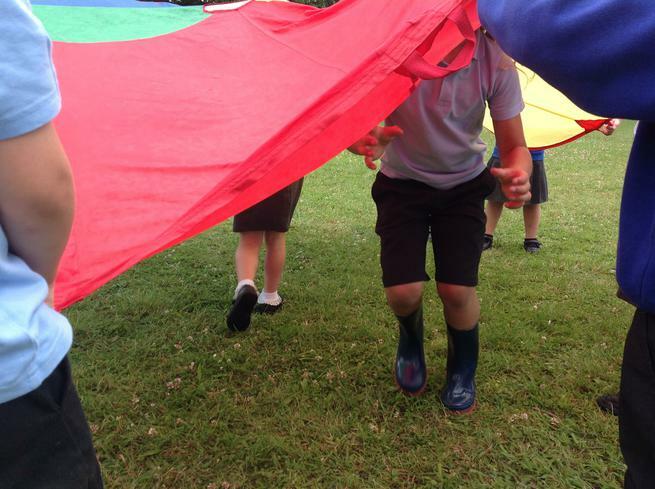 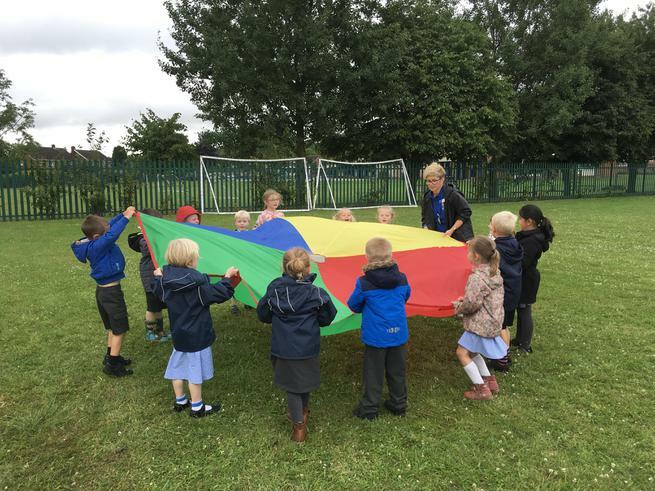 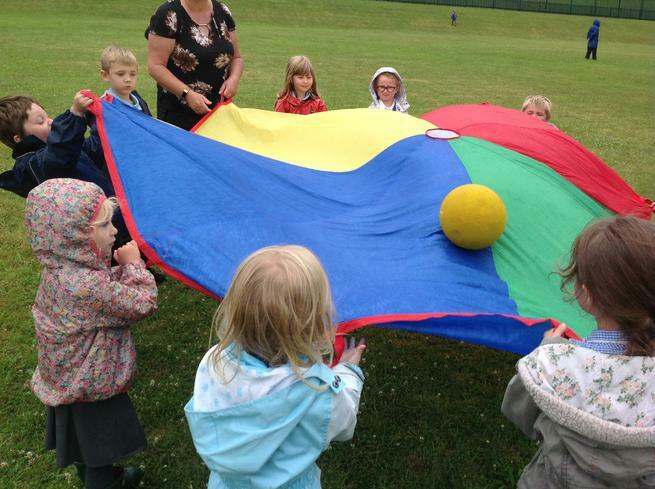 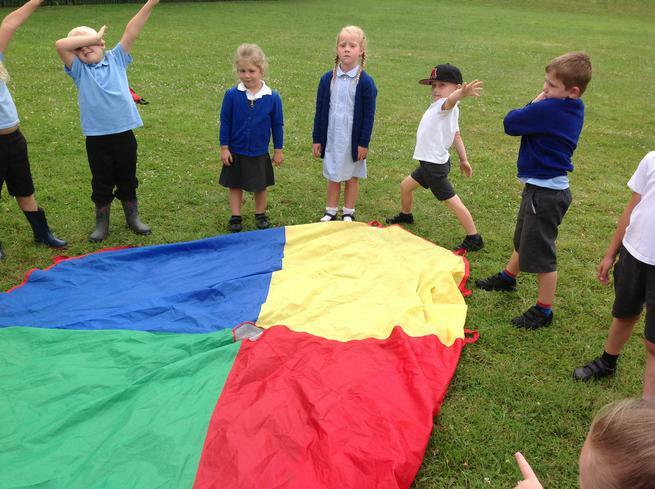 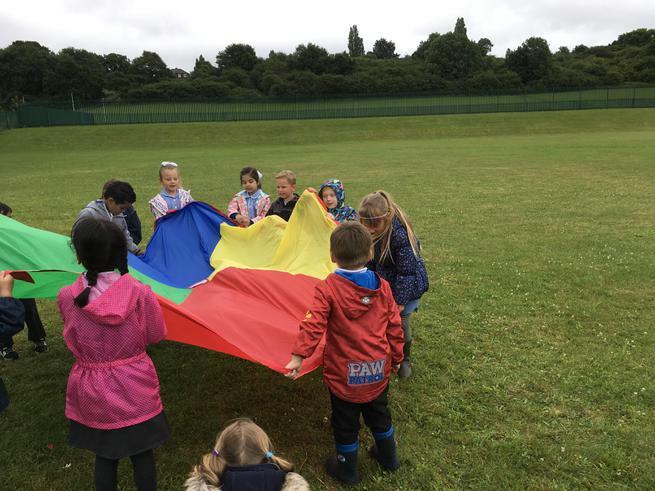 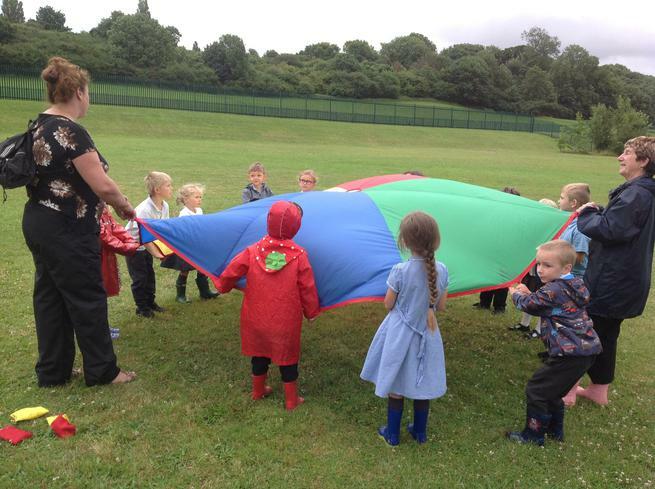 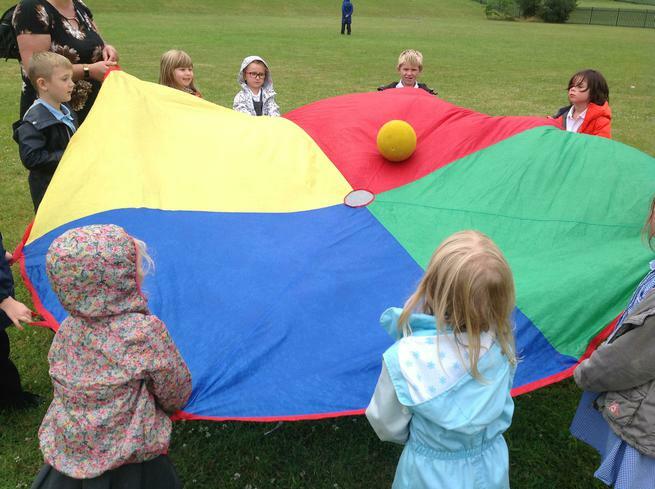 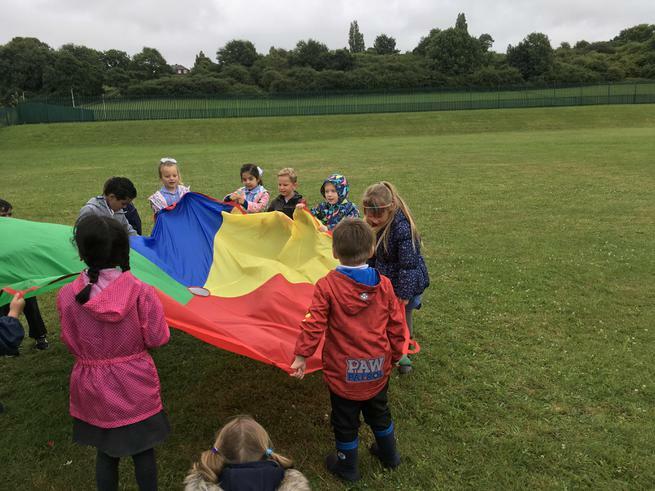 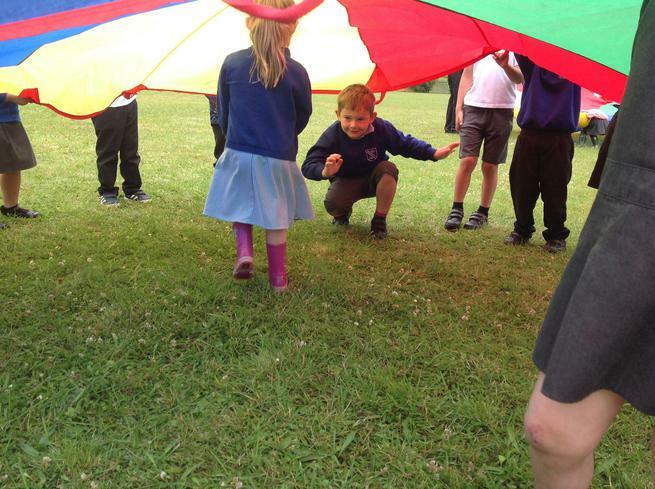 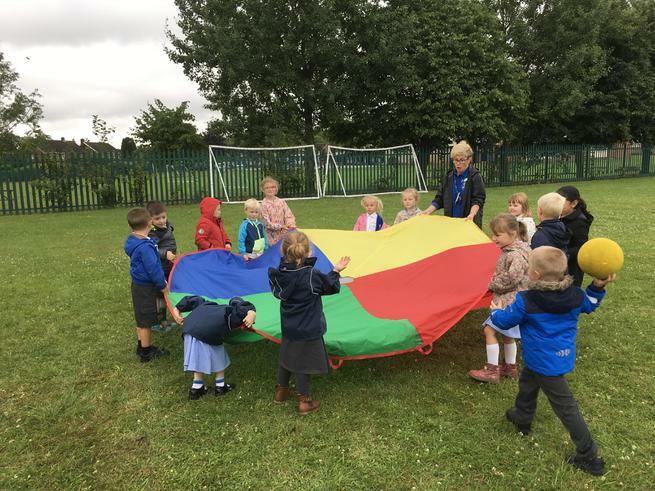 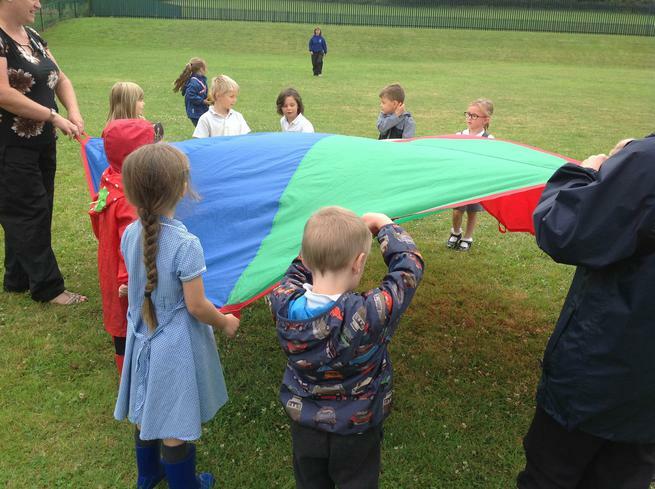 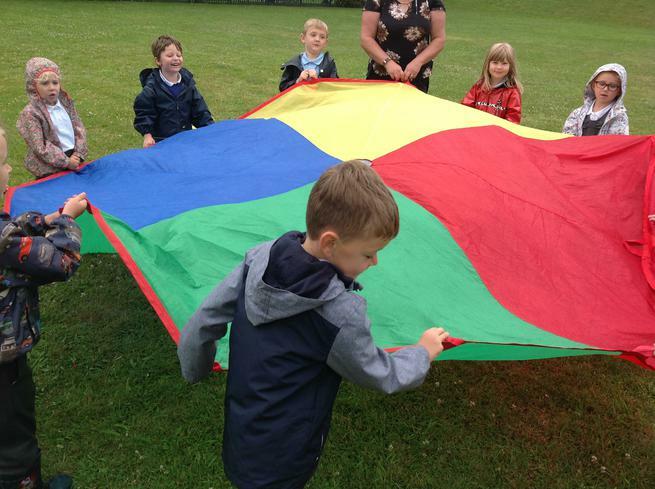 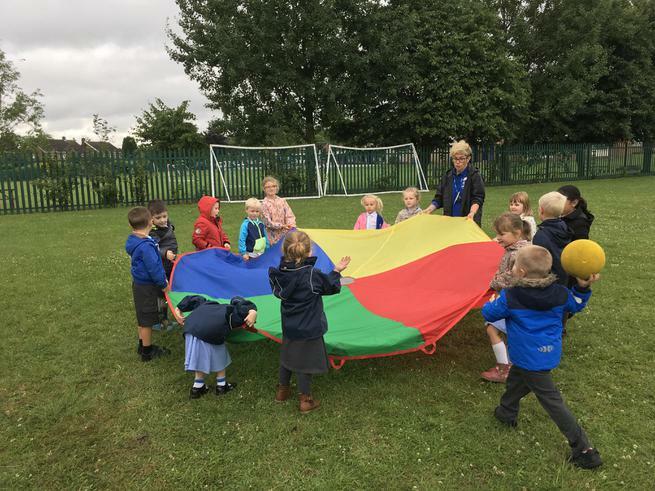 We went on a bear hunt and played parachute games. 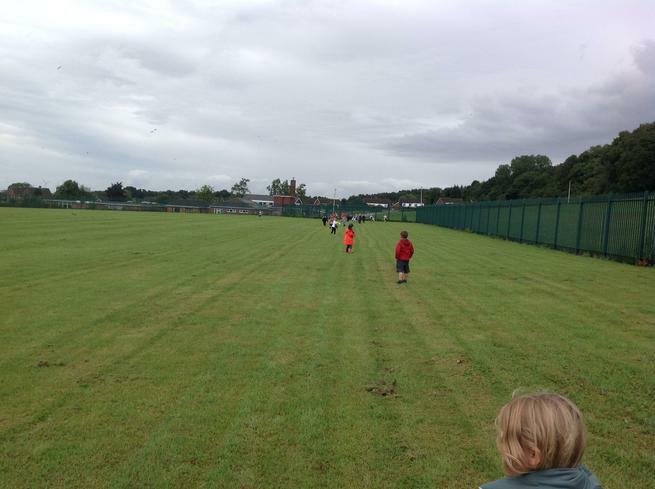 We went for a really long walk all around the outside of school, played water themed singing games and finished with a run on the field. 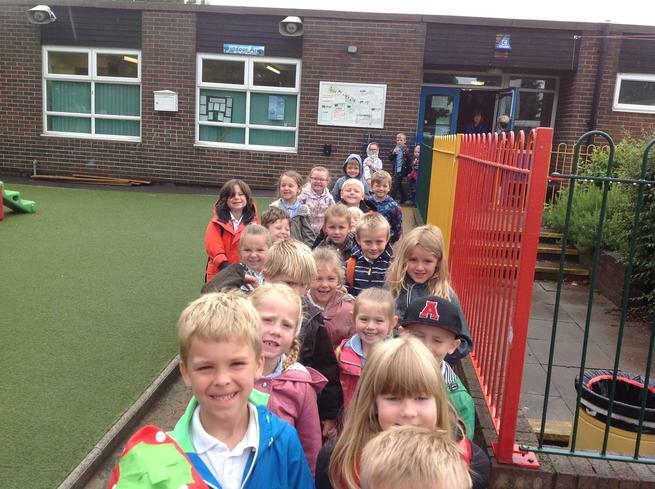 As we returned to the reception building for home time, the sun came out! 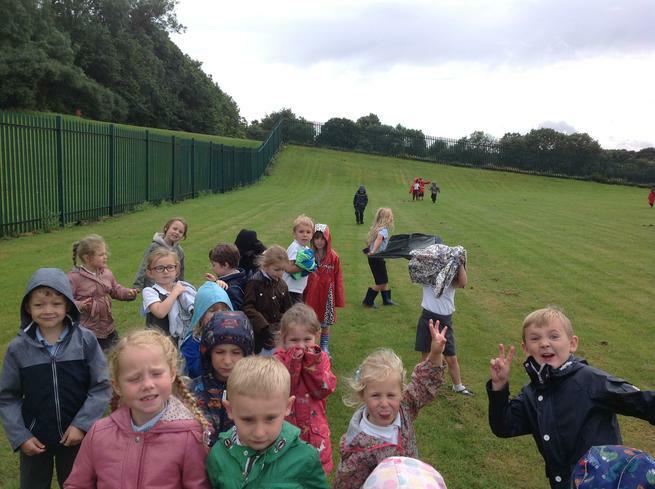 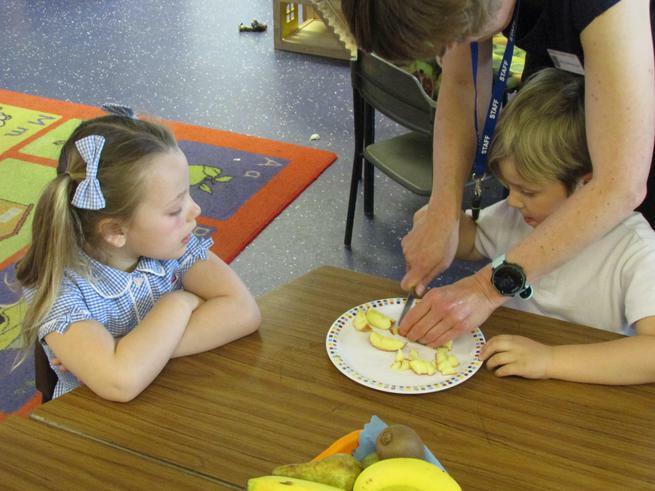 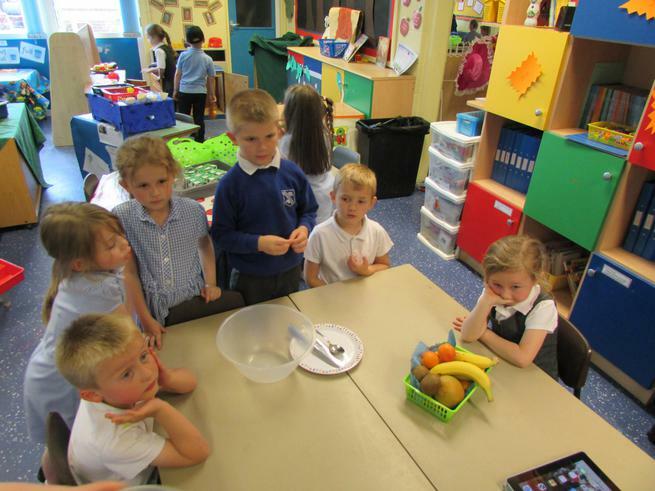 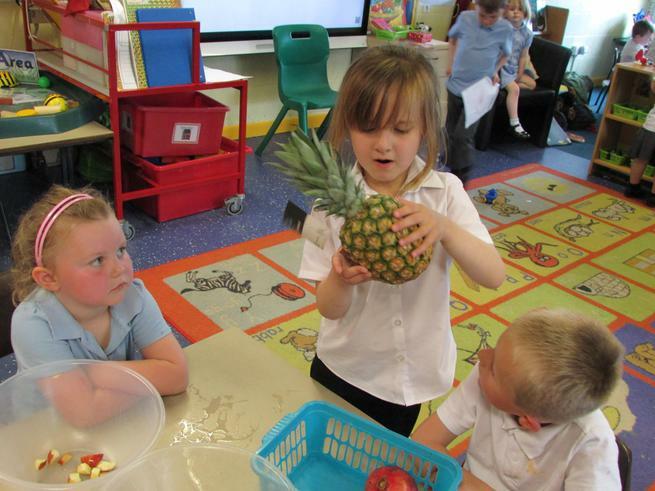 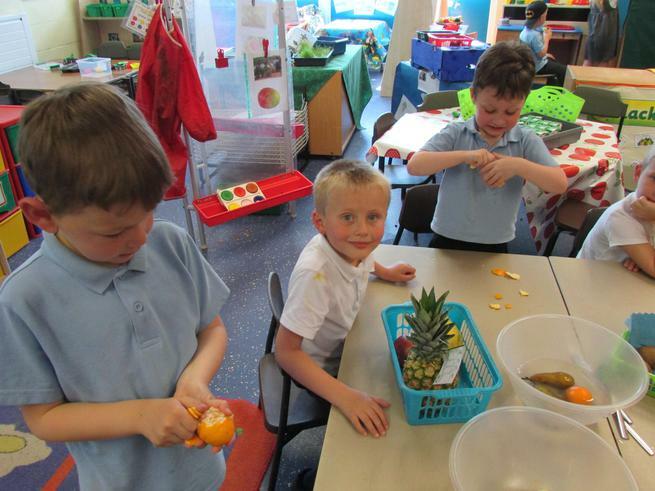 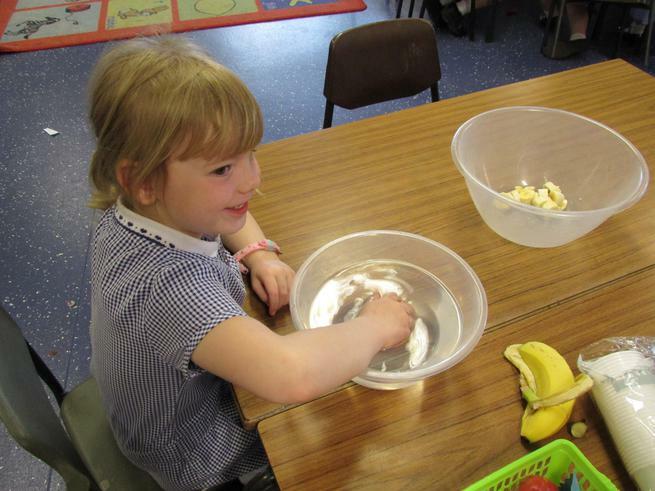 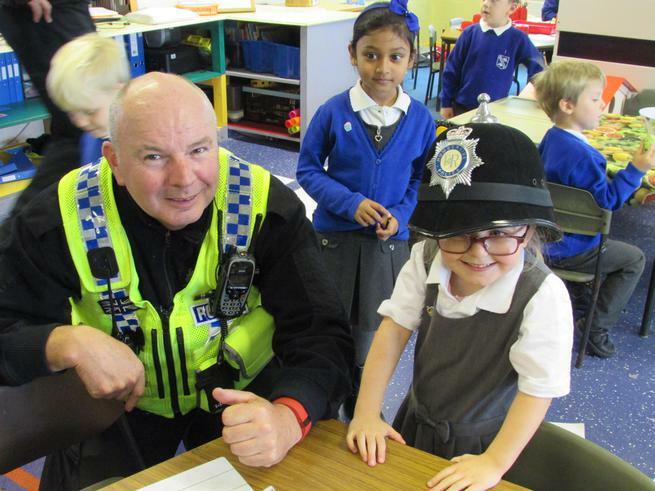 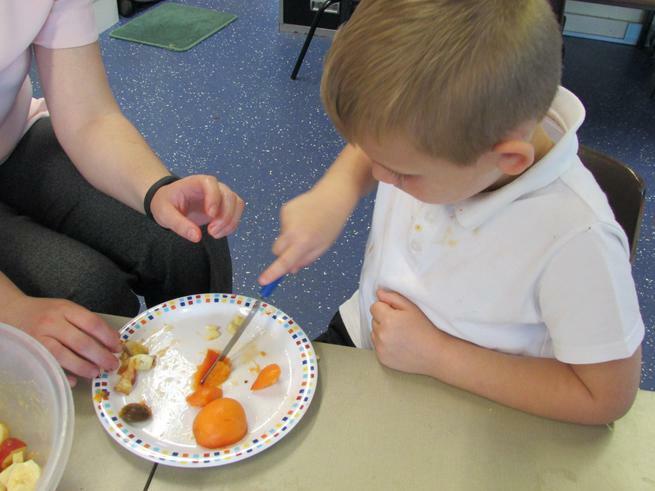 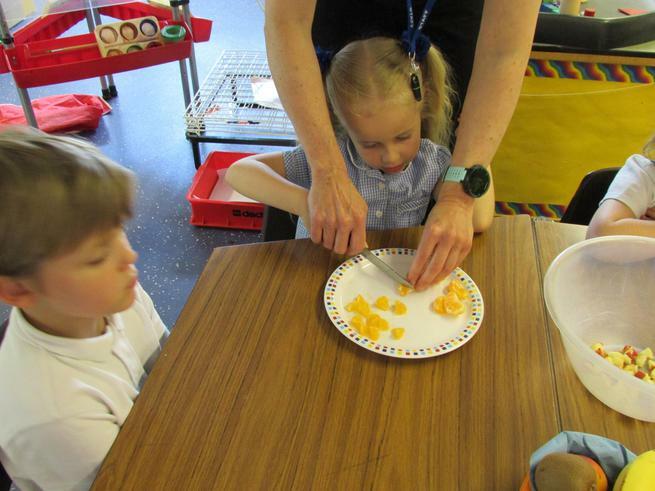 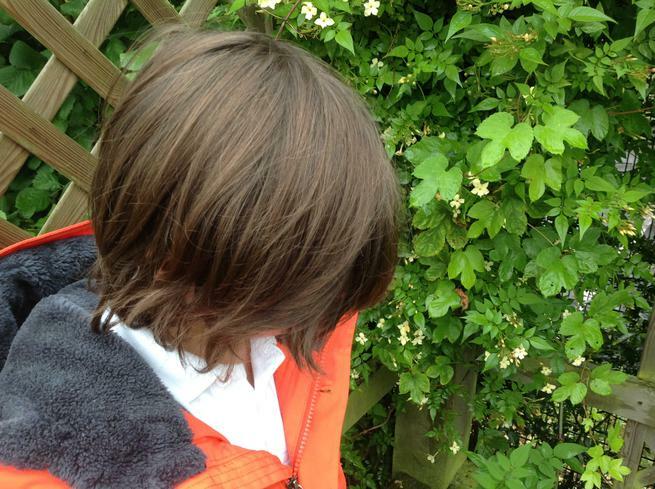 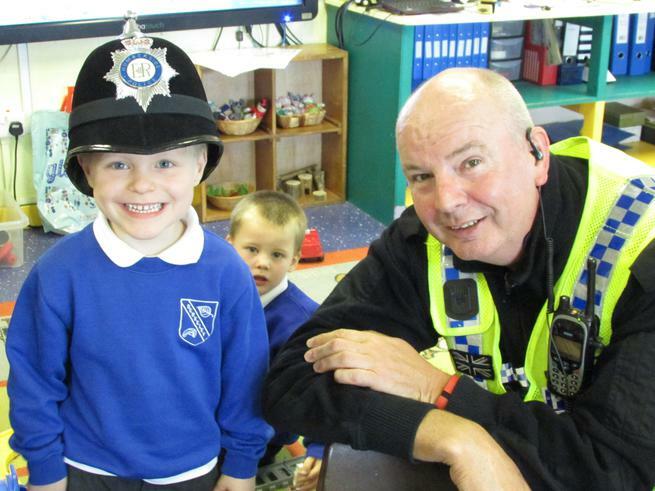 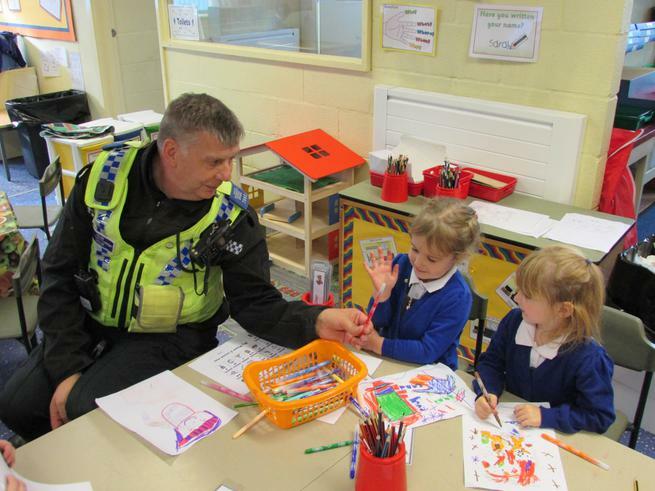 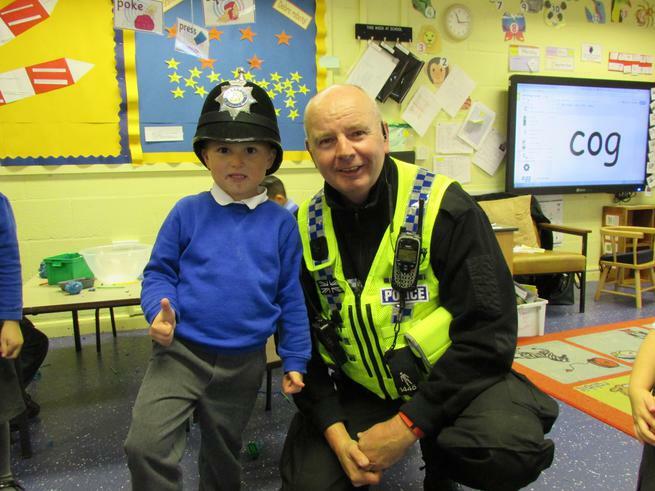 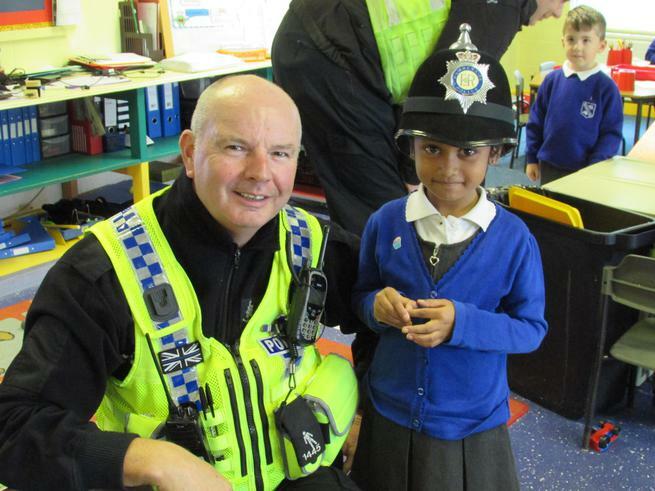 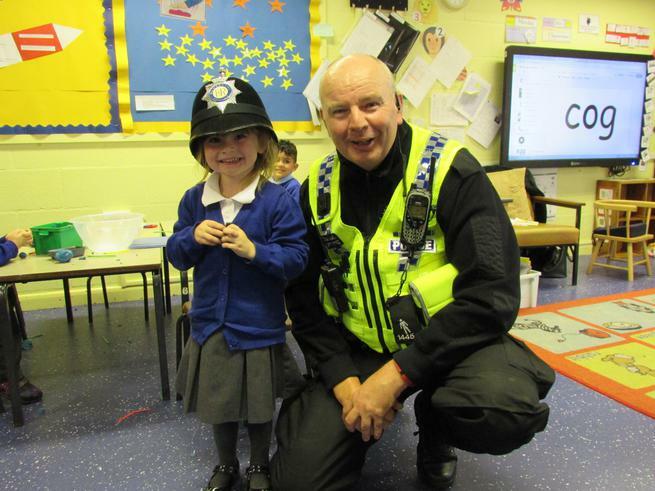 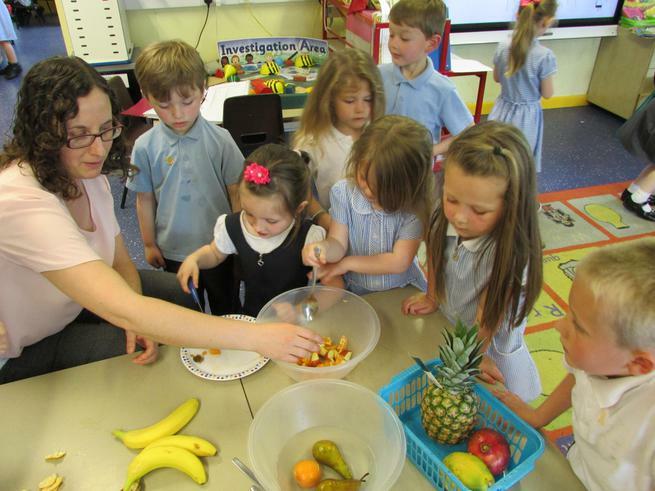 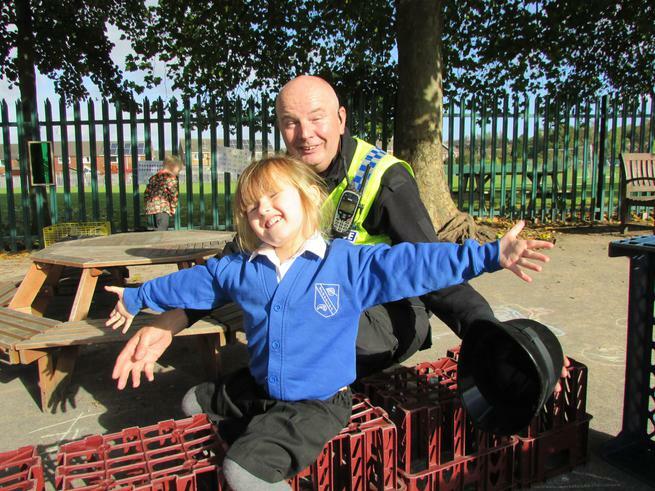 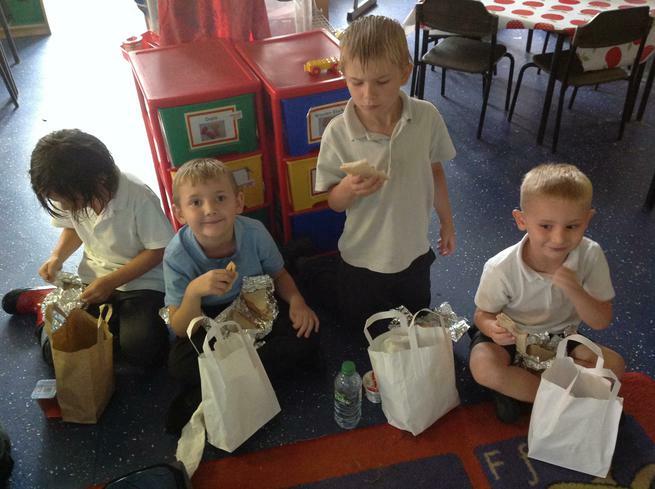 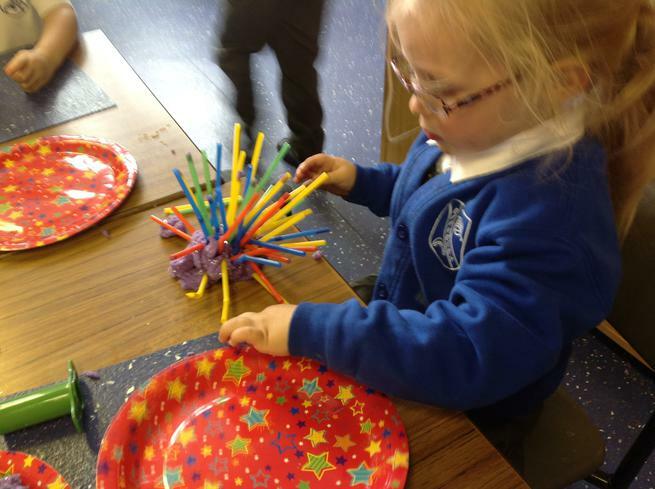 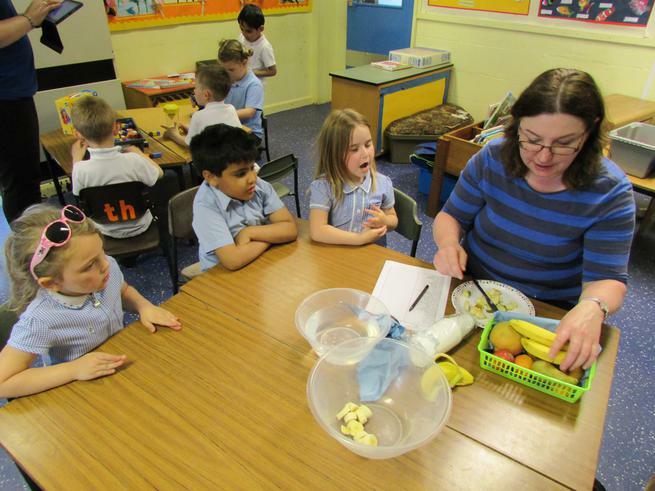 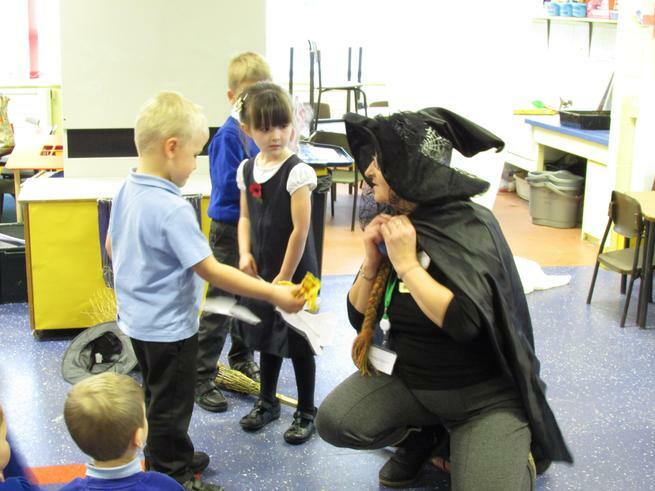 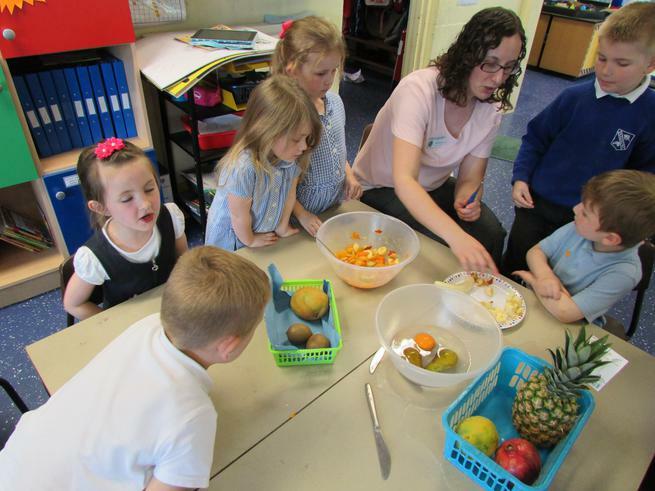 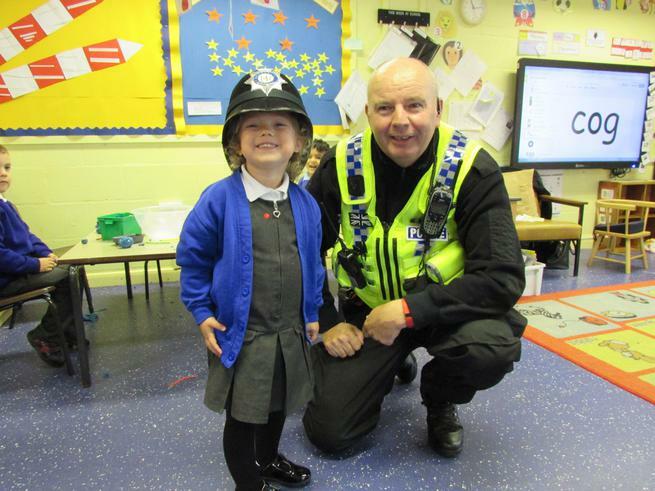 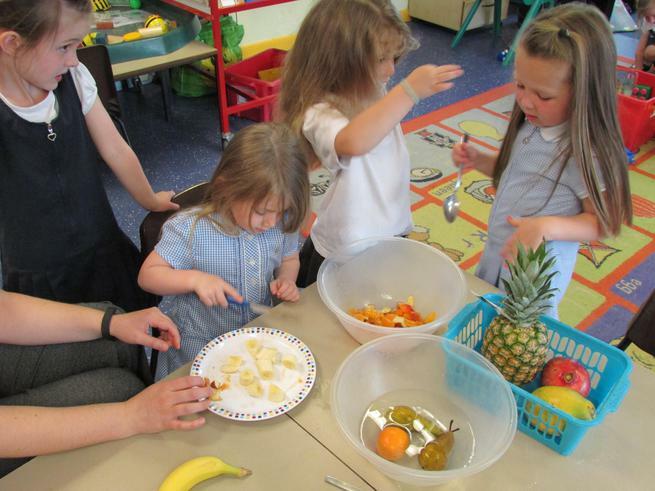 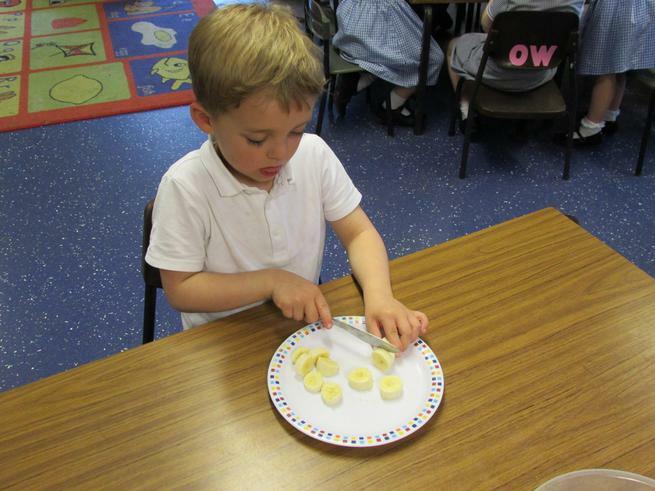 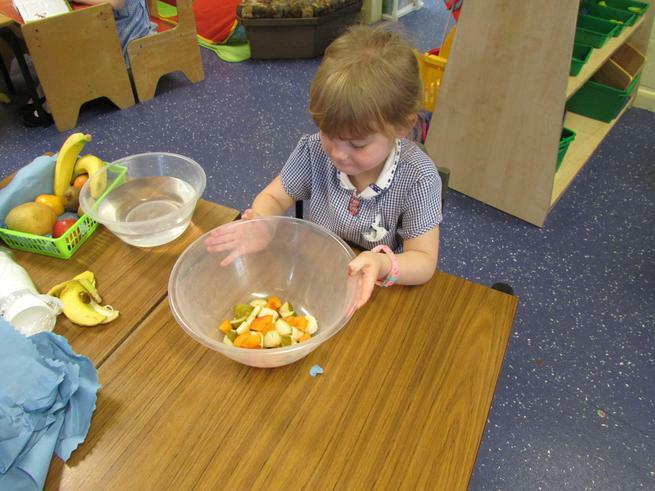 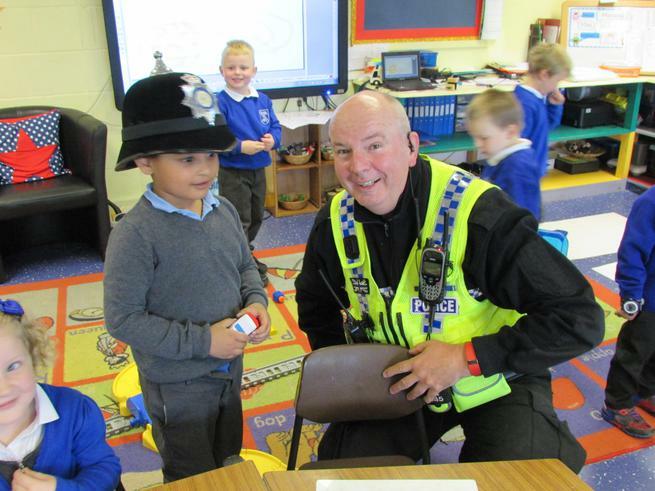 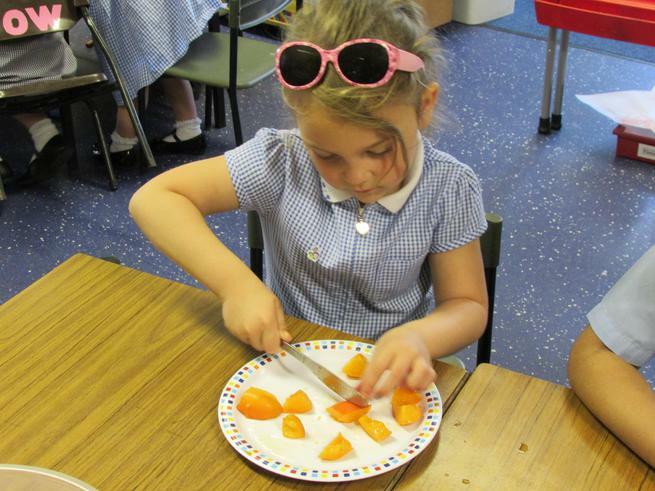 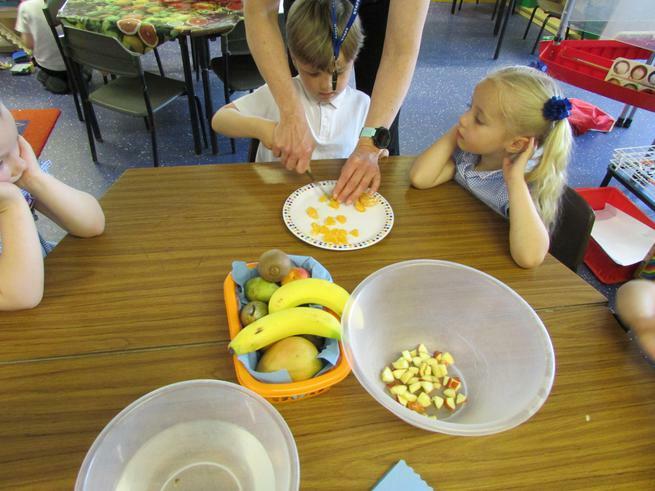 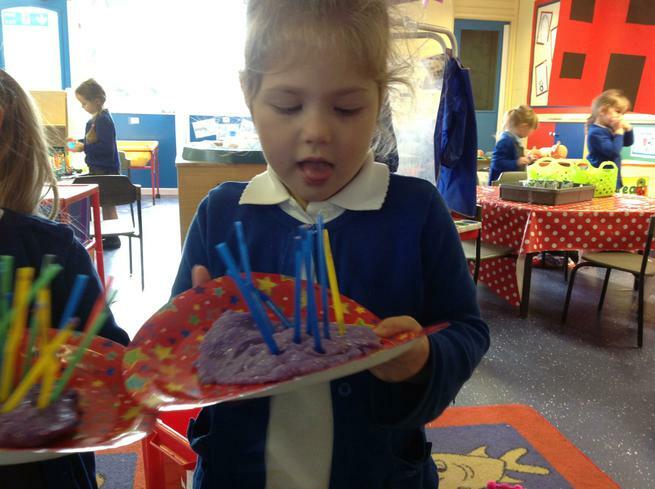 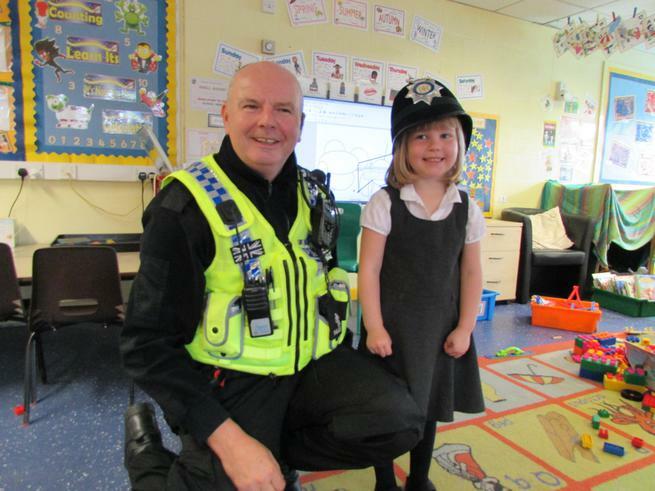 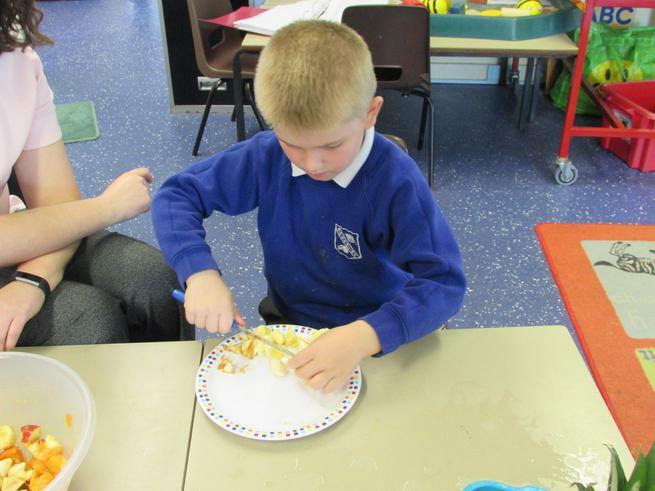 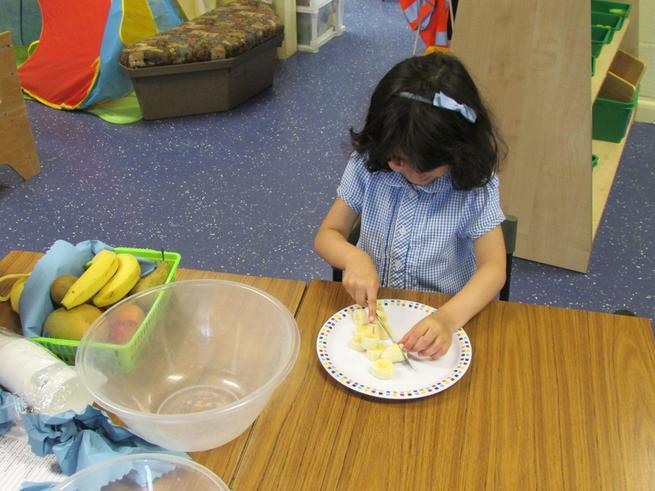 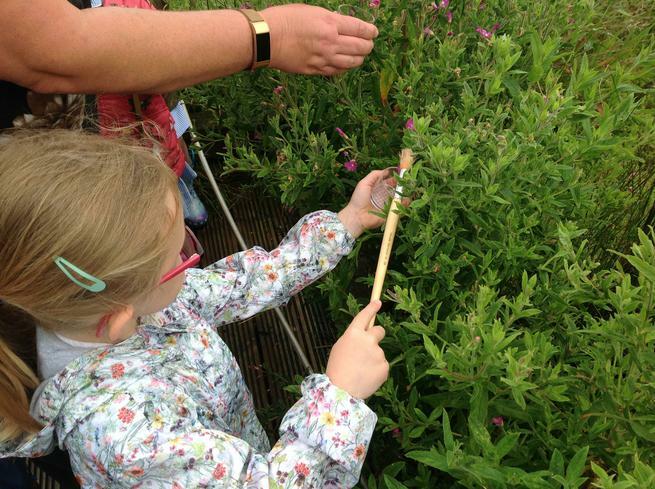 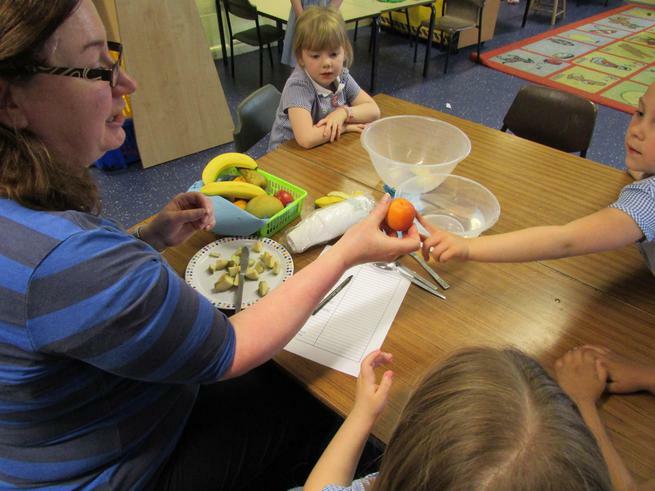 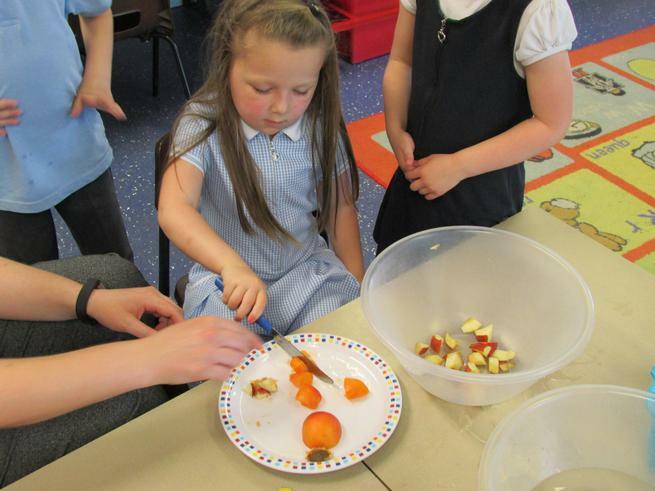 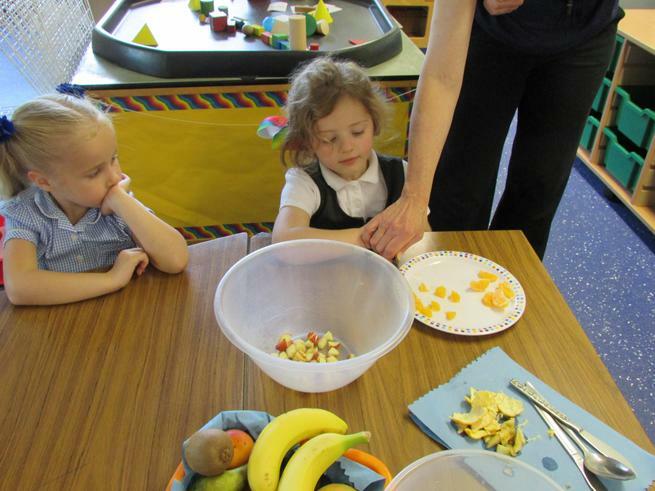 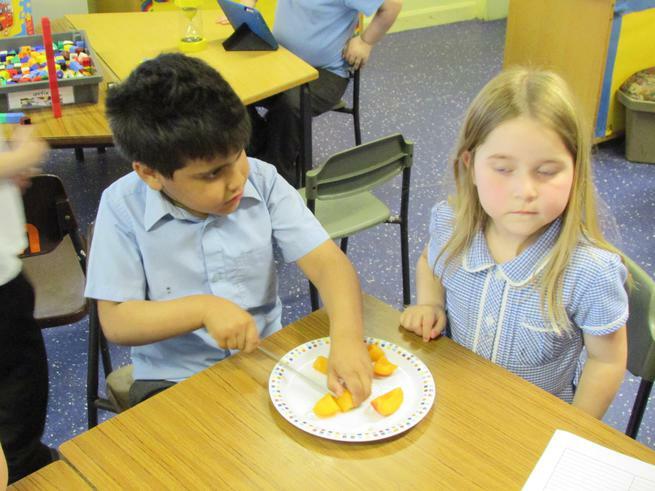 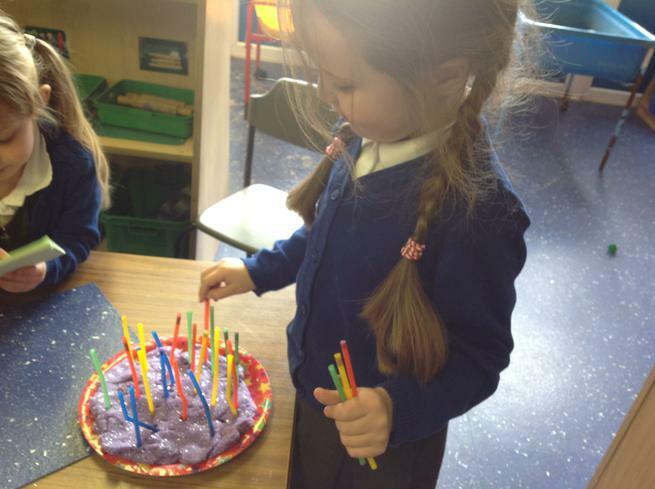 The children, and staff, really enjoyed themselves. 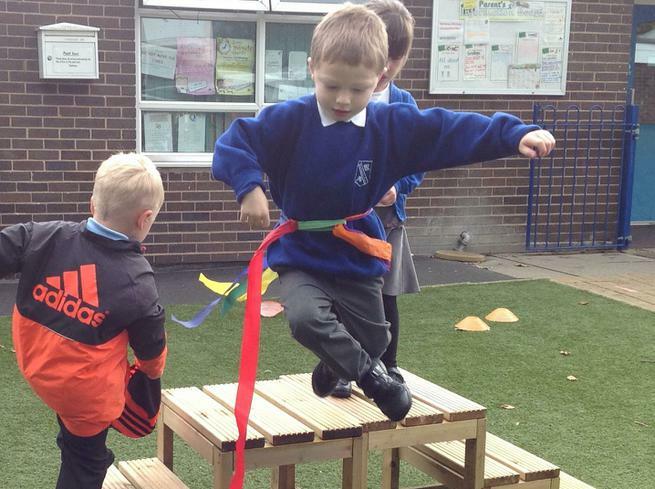 Can you spot us in the slideshow of new starters from across North Lincolnshire? 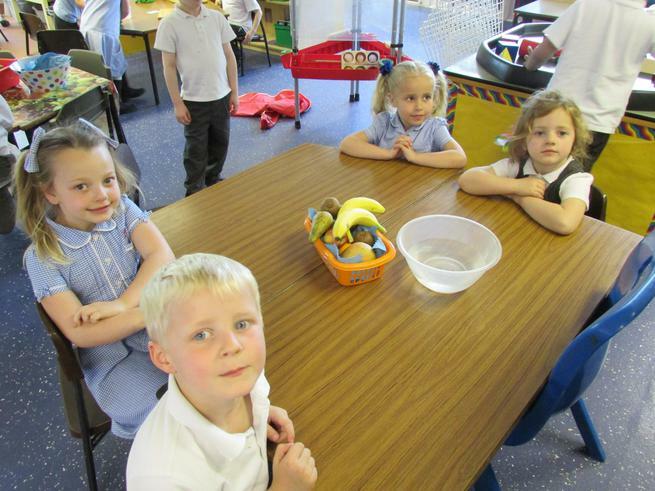 Miss Earl is the teacher in Oak class. 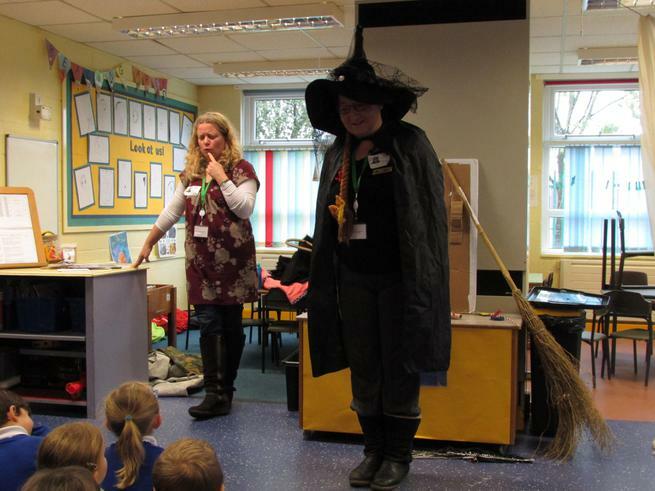 Miss Card is in Beech and Miss Woods is in Holly. 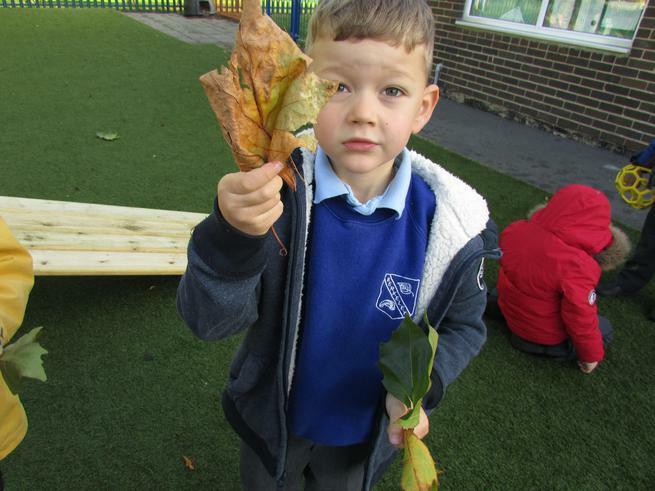 Click on the leaves to find out more about the individual classes! 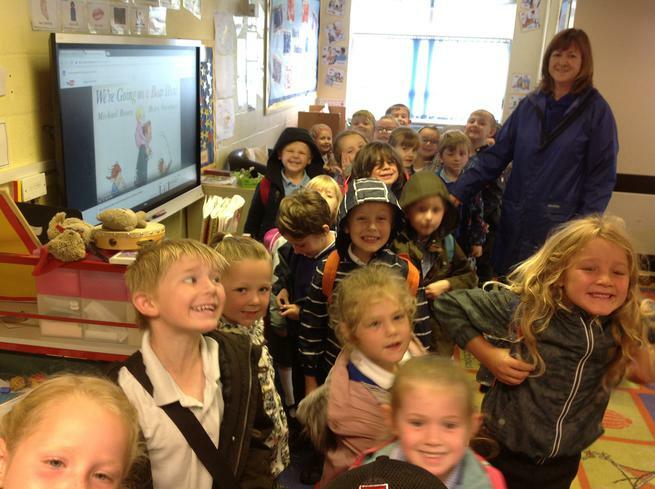 A wonderful book by Rosemary Stones (Author), Christopher O'Neill (Illustrator) to prepare children for the life event of first day at school. 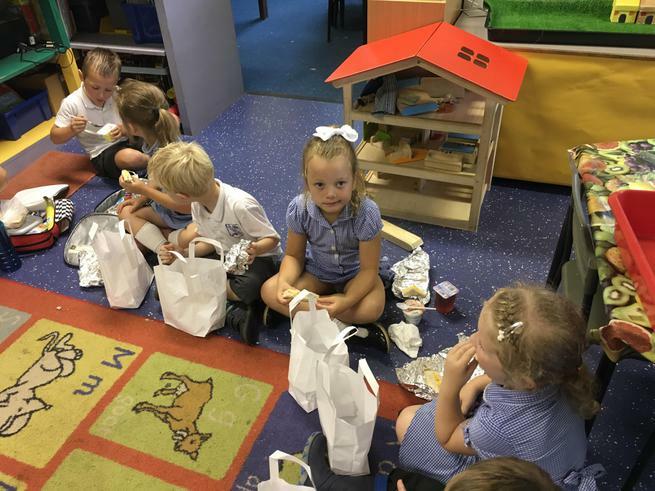 This beautifully illustrated story gives children a realistic idea of what starting school will be like and prepares them for going back to school, making new friends, learning, lessons, homework and fun.